Put on "Natural Science" by Rush and right after the impressive intro, pay attention to the riff by Alex Lifeson that follows. Try to think of what has taken place ever since and maybe you’ll realize how it all began for progressive metal. Special, peculiar, unique and pioneering, it has always been a bizarre sub-genre in the gigantic world of metal music. Drawing inspirations from various influences, with diverse outputs, with technical skills that demand music studies and with improvisation as its main element, progressive metal has always been one of the less commercial genres of the heavy sound. It all started at the end of the 80’s with artists that set the foundations and established the sound of the genre. Since then, many bands have emerged (especially underground) in both U.S. and Europe and some of the greatest albums of all time were created from these bands, but at the same time the genre started sounding 'regressive', rather than 'progressive'. This has a lot to do with the success of Dream Theater during the late 90’s, which led a lot of new musicians to just follow the recipe of masterpieces like "Images And Words" or "Scenes From A Memory". Even though it has never been one of the most popular genres, the will of the musicians to stand out by using odd time signatures, combining diversified influences and achieving the highest possible playing level helped progressive metal to establish a steady and loyal fan base. In this article we tried to write down the '100 albums of the genre', that create "The Absolute Guide" to it. They are presented by chronological (by year) order and there is no evaluation in the sorting. Probably, there will be albums that someone might want to see here, albums that were neglected or albums that were over estimated. 'Why are there so many albums from Dream Theater or Fates Warning but not from Voivod? ', 'Should "Awaken The Guardian" be considered as a prog album? ', 'Is "Warning" a prog or a U.S. power metal album?'. Eventually, there will be such questions. These questions are often debatable among the fans of the genre, but in this particular article we decided we wanted to keep a balance. On one hand we wanted to present as many bands as possible and on the other we had to present more than one album from the most influential artists, so as the article to be as complete as possible. There can’t be such a guide without "Perfect Symmetry" or "Awake". Also, we wanted to stick to the core of the genre, as the term is quite vague these days. Finally, there is the subjective factor of the editors that made the choices and this could be a factor as well. Apart from that - having in mind that progressive is a 'tricky' term by definition - we decided to add another 10 albums at the end of the article. These albums can’t be defined exactly as progressive metal, but are very close to it, by means that they share the same mentality. Bands like Neurosis, Tool or Burst are not part of the school of Progressive Metal based on the principles that were established by the archetypical representatives of the sound, but the music that they created on these albums (and beyond) combines influences from the genres that they come from with the progressive metal of the new generation. We believe that with this very crucial and helpful addition for the reader who wants to dig deeper into this genre. We hope you enjoy the reading. Prog on. 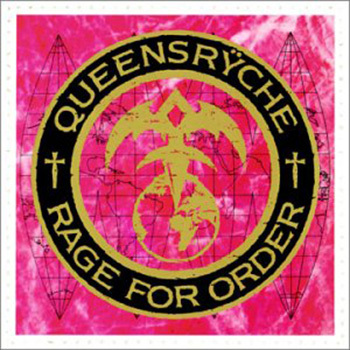 An album that will always have its place in such an article and a record whose hype since its release has made it Queensryche’s most famous work. Whether due to the concept that Tate penned, or DeGarmo’s amazing compositions, “Operation Mindcrame” has left its mark, containing songs that are still regarded as their finest. 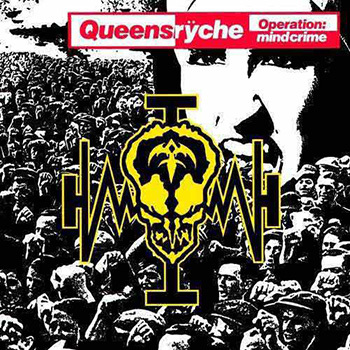 Also, the live edition, “Operation Livecrime” is a concrete argument in favor of Queensryche’s power on stage, with Tate’s theatrical approach taking the songs to another level. The band presents its grandeur with songs like “Suite Sister Mary” or “Breaking The Silence” evolving impressively from one album to another. 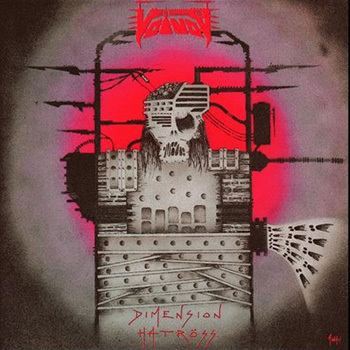 Every prog metal fan is aware of how important and influential Voivod was at the end of the ‘80s. Even though the signs were there, “Dimension Hatross” was the album that made the difference and established their name among peers and fans alike. The cold, futuristic atmosphere, the great riffs, Blacky’s characteristic bass lines, Piggy’s obscure time signatures and vocals of Snake that seemed out of this world, created a unique combination of musical talents. “Dimension Hatross” was the turning point in the band’s career and even though “Nothingface” was more successful, this is the album that is rightfully considered their discography’s finest moment and one of the cornerstones of progressive metal. 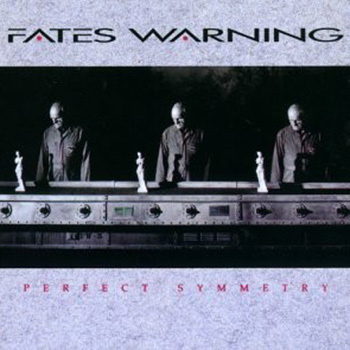 With “Perfect Symmetry”, Fates Warning somewhat reset their vision of the band by departing from their early roots and began an incredible streak of progressive albums, which laid the foundations of the sound of the 90s. With the duo Matheos / Aresti composing and performing optimally and Alder adopting a more emotional delivery in comparison to his performance on “No Exit”, Fates Warning travelled masterfully from the older, “heavier” version of their music, to a new sound incorporating many Rush and QUeensryche influences. Relying heavily on Mark Zonder’s suggestions and inspirations, what was to follow could help but to be great. 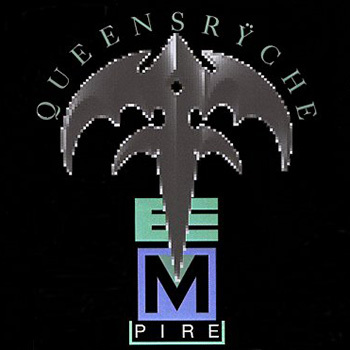 Near the end of the ‘80s, so-called progressive metal had already begun to spread among fans of heavier genres, and with bands such as Queensryche and Fates Warning being at the peak of their artistic quest, meant that it wasn’t particularly hard to influence certain bands that did not want to catch moss. 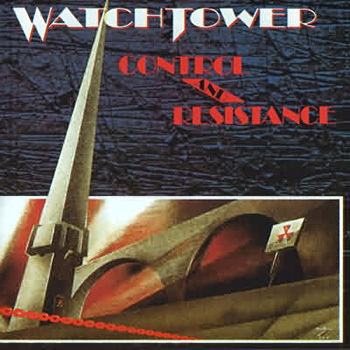 Watchtower had already distinguished themselves for their innovative, unconventional ideas and compositions with their debut album, mixing early thrash metal with other musical stylings of a more fusion nature such as, Mahavishnu Orchestra. With “Control And Resistance”, they managed to balance this particular duality in a rare way, which highlighted how they took their influences to their limits, mainly through Ron Jarzombek’s technical skills. 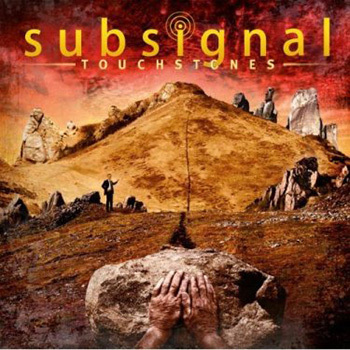 One of Tech Metal’s (as the genre was then coined) most influential albums. 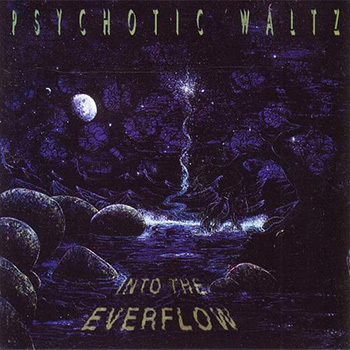 Psychotic Waltz would indisputably own the title of “biggest underground prog group”, if such a title even existed. Since their stellar debut, they managed to stand out due to their uniqueness and composing originality based on Rock/McAlpine’s guitar work and Buddy Lackey’s Jethro-Tull influences. “A Social Grace” belongs in a list of very few albums that managed to create a cult following almost immediately after release and never ceased to inspire and influence the next generation of musicians. From the intricate “...and The Devil Cried”, to the beautiful “I Will Remember” and the self-titled masterpiece, “A Social Grace” is one of the best albums of all time. 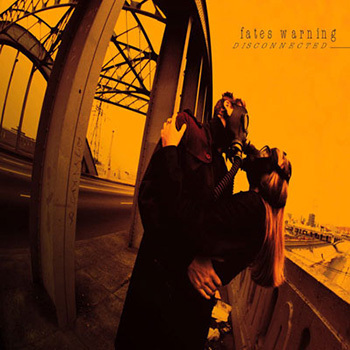 After changing course and redefining their sound in “Perfect Symmetry”, Fates Warning’s next step was about to become a gem, not only for the progressive sound, but also for 90’s metal scene. 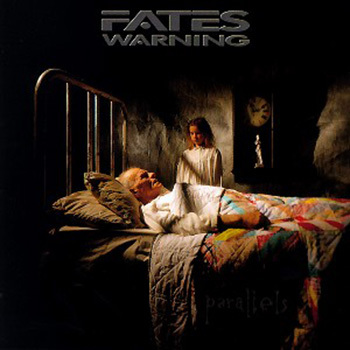 “Parallels” is possibly the most recognizable, popular and all-time favorite Fates Warning album. 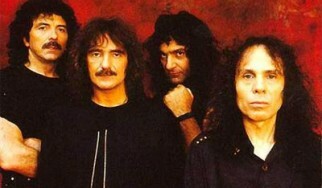 Songs like “Life In Still Water”, “Eye To Eye” and ”The Eleventh Hour” were not only the credentials of Fates Warning’s progressive sound, but also influenced a great amount of subsequent musicians. 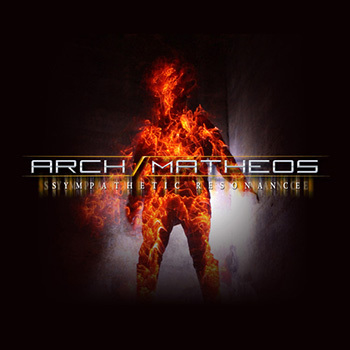 Matheos/Aresti’s collaboration remains excellent and monumental and together with Kevin Moore’s presence on keyboards, make “Parallels” a sublime album, with overflowing inspiration and a seminal production. 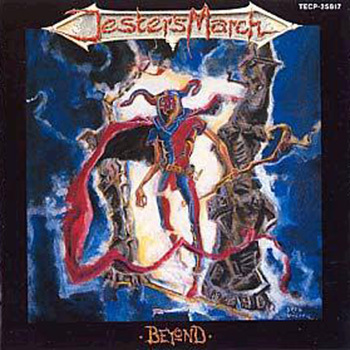 Unpredictable, noisy and progressive in its own terms, Jester’s March “Beyond”, belongs in that special corner for early 90’s bands that based their composing and executing skills around complex compositions revolving around thrash metal. 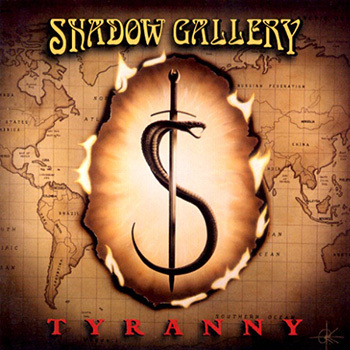 Diversity, a certain Voivod feeling, vocals that stand out due to their melody and Tate-ish origins, you end up with a fine example of 90’s early prog metal. Jester’s March progress and the turn to House Of Spirits, managed to maintain the progressive attitude, but still, “Beyond” remained an album yet to be surpassed by themselves and in time is considered to be important for the evolution of European prog. 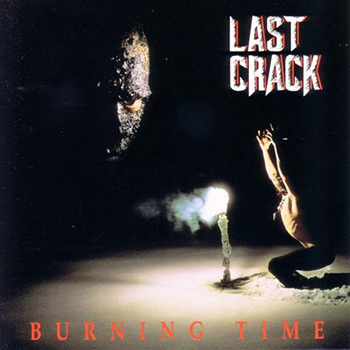 Last Crack is another distinct example of a band whose commercial response was inversely proportional to its quality during its creative period, that lead to them sinking into oblivion. Prog, funk, metal or something else? 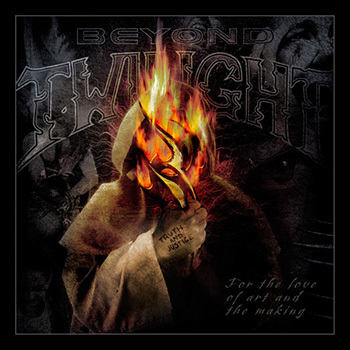 “Burning Time” was an intense progressive perspective in a time that bands like Jane’s Addiction and Faith No More were attempting to leave their mark by diving into heavier territories, whilst Last Crack - with their already existing alternative tone - managed to create a colorful album where Buddo’s vocals and the many funky touches immerse through compositions that balance between crossover thrash and early alternative Seattle sounds. 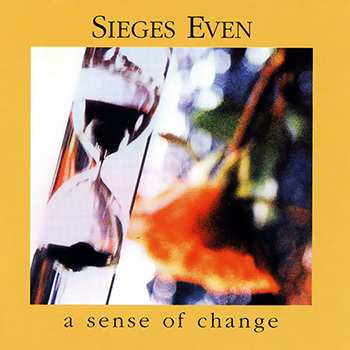 Sieges Even’s third album is a unique masterpiece and has a legacy of its own, as it is not only one of the 90’s finest progressive metal releases, but it paved the way for future albums of the same genre for countless bands, including themselves. General Rushian strokes of brilliance, Markus Steffen’s guitars and the Holzwarth bros’ rhythm section are the main core of “A Sense Of Change”’s unique sound; sound that demands the listener’s attention, whilst promising that it will reciprocate with its sentimental gravitas. This album’s infectious melodies (which they kept on producing later on in their career) are enough to classify the band as collection of great composers. 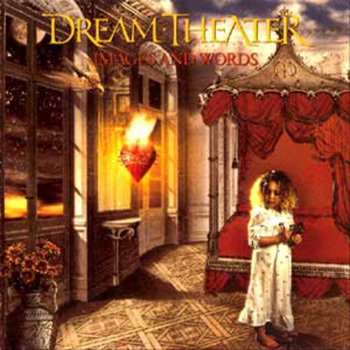 “Images And Words” is the most important and most balanced progressive metal album ever to be released. It is here that we find the best parts of 70’s progressive rock and heavy metal. After an okay debut (always relative to their potential), the young and hungry classmates from Berkley found what they needed in James LaBrie’s voice to take their music to a new, immensely high, level. The genre’s most widely accepted track is still “Pull Me Under”, everything prog has to offer to anyone can be found in “Metropolis pt. 1”, whilst “Learning To Live” still seems insurmountable. Every musical moment and lyric of this album acted as foundations for this particular genre. For the author, this is probably the best thing music had to offer, ever. 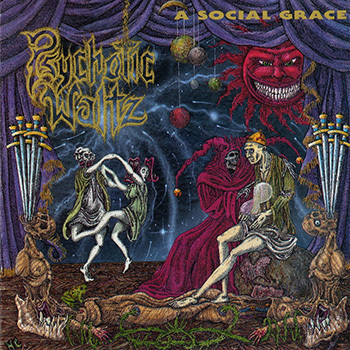 With their second album, Psychotic Waltz were able to establish themselves deep into the consciousness of the prog fan base, as one of the genre’s protagonists that keeps on settling new standards (their own standards), even in a time where masterpieces were coming out left, right and center. Following the incredible “A Social Grace”, “Into The Everflow” remained somewhere in-between psychedelic and early prog rock. The guitars in this album emitted a somewhat eerie sound, around which Buddy Lackey’s great vocal delivery built up the magical realm of Psychotic Waltz. The title track is beyond words, whereas “Hanging On A String” is a fantastic marriage between progressiveness and emotion, which in other words is a recipe for a timeless album. It is almost criminal how much this band has been ignored. Conception can be seen as a sole argument for why we decided to write this article. Incorporating influences from Queensryche’s post “Rage For Order” mature era, these Norwegians managed – even though almost no-one noticed – to become a mythical icon of 90’s prog. Roy Khan’s singing, which should be in the curriculum of any vocal lesson’s class, and Tore Ostby’s technical and writing abilities are what makes this album great. The album includes tracks like “Roll The Fire”, “Water Confines” and “Silent Crying”, songs that would have no problem fitting in any “Best of Prog” compilation. 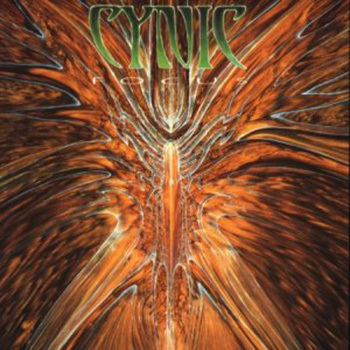 Cynic - already being miles ahead of their time even since their demos - released "Focus", a musical hybrid that fused technical death metal, as demonstrated by Schuldiner and Death, with fusion elements, as played by Mahavishnu Orchestra. The progressiveness oozing from this release seems to never end, all due to Paul Masvidal’s technical abilities and Sean Reinert's and Jason Gobel's creativity and innovative compositions. As of this, "Focus" is regarded as a truly influential monument of the genre by fans, musicians and critics alike. To our (and their) relief, their following album, "Traced In Air", set them firmly in the forefront of their genre where they were, eventually, acknowledged for their contribution. Even in the early 90’s, crossover tendencies (that were already quite evident in more classical genres, especially in the US) where slowly finding fertile ground in bands with more progressive visions. 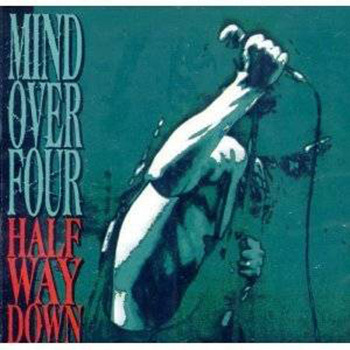 Mind Over Four’s “Half Way Down” is a typical example of this. This release, that can’t really be tagged appropriately, is an innovative blend of sounds that Mind Over Four had already attempted to create in “The Goddess”, their previous effort. Constituted of thrash elements infused with funky/jazz rhythms, “Half Way Down” sums up to a rousing project, mainly due to the Lifesonic guitar influences, the sturdy rhythm section and of course Xavier’s vocal delivery. Faith No More meets Quessnsryche, and Mind Over Four release a diverse album that went opposite to the “easy single” mentality that was (is) popular at the time. Eric Clayton’s and Saviour Machine’s religious/christian/supernatural inquiries seem to have come from a different, parallel musical universe. The album is based on an overall goth aesthetic, supported by solid musicianship and a highly emotive baritone vocalist that presents, rather ingeniously, themes from the Apocalypse. The album, which seemingly misses nothing, is highlighted by the intimidating nature of “Carnival Of Souls”, how sin is represented in “Legion” and “Jesus Christ”’s riveting melody. 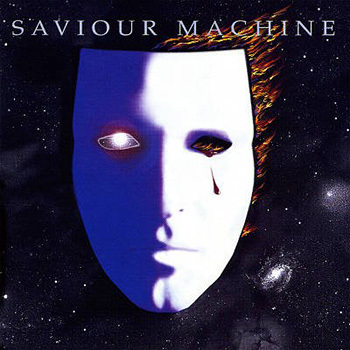 Saviour Machine presented a new perspective to progressive metal that only a few had envisioned and even less could pull off. 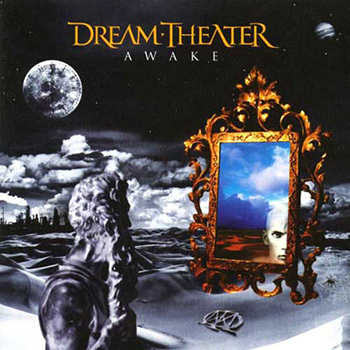 Dream Theater, having redefined progressive metal with “Images And Words”, took everything a step further and by being in sync with the music scene’s pulse – and having spent many hours with Pantera albums – released the inconceivable “Awake”. Tracks like “Mirror” and “Lie” stand side by side with “The Silent Man” and Kevin Moore’s confessional “Space Dye Vest”, as a direct representation of the absolute symmetry between mellow and heavy songs in the album. Nevertheless, the creative drift between Moore and the rest of the band, even after such a masterpiece, will set new obstacles which were however surpassed in an even more spectacular manner in the future. With their previous release, Queensryche seemed to be unstoppable, ready to claim their place in the pantheon – and in a way they did – with extensive touring, record sales and fan devotion. This was the period where the legend around their name was built. 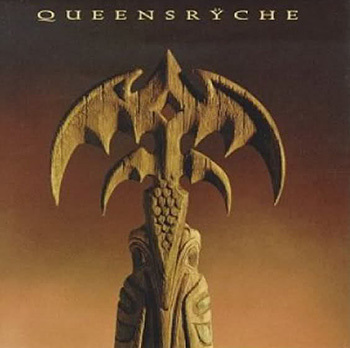 Having released a series of album that were to be conceived as masterpieces in the general metal community (meaning not only in progressive circles), Queensryche decide to change directions and release what is considered to be their (last) best release. With a new route looking directly in the face of grandiose prog rock and diverging significantly from their metal roots, DeGarmo’s (mostly) creativity and inspiration lead the band safely to new heights, with a masterpiece that will forever be their legacy. It is true that the UK was the birthplace of most of the progressive rock scene of the 70’s, however its contribution to the later, heavier prog scene was almost non-existent. 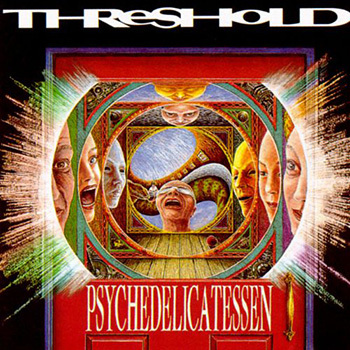 Threshold were conceived to be the only constant power representing the Brits, who managed to draw the attention of progsters during the mid-90’s with “Psychedelicatessen”. Their only release with Glynn Morgan on vocals is demanding and adventurous yet approachable and to the point, with lengthy tracks such as “Sunseeker” and “Into The Light” acting as highlights as well as other compositions, such as the mellower “Innocent”. For many, Threshold reached the peak of their career with “Psychedelicatessen”. 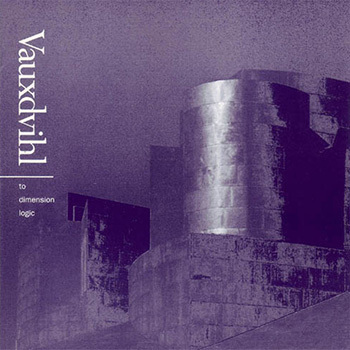 Vauxdvihl’s first and only release was different and innovative, and another prime example of an album that was not recognized at the time of its conception but was later regarded as an exhibit of majestic creativity. “Dimension Logic” could be classified amongst the few top-notch releases, yet underground, as it combines Queensryche’s typical prog metal essence with the melodic teachings of Fates Warning, tunnelled through a uniquely atmospheric tube that somehow manages to incorporate an industial, almost sci-fi, feeling to the whole album, mainly due to the obscure drumming. 40 minutes of genuine 90’s prog aesthetics, including interesting interludes and diverse tracks following one another. After “To Dimension Logic”, Vauxdvihl did not continue in the same inspirational manner, ultimately being forgotten, and leaving behind this sole work of art. It is true that Norway, especially in the mid-90’s, is much more renowned for its contribution to the black metal scene, but that doesn’t mean that progressive vibes were not around (even within the black metal community itself). 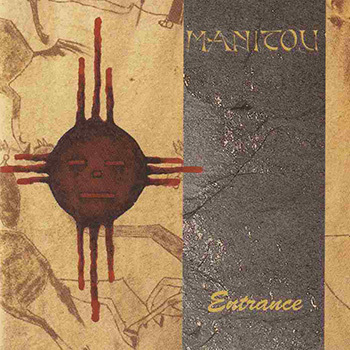 “Entrance”, even though Manitou’s only release, incorporates melodies band member’s technical abilities that raises its status to “timeless”, even though it was not able to break out of underground’s merciless grasp. Nevertheless, it provides the listener with the all-around progressive experience. With the obligatory hat-tips to Fates Warning as well as clear influences from the technical madness observed in Watchtower’s releases, “Entrance” acts as a mean to introduce Øyvind Hægeland’s (Spiral Architect) voice to the world. 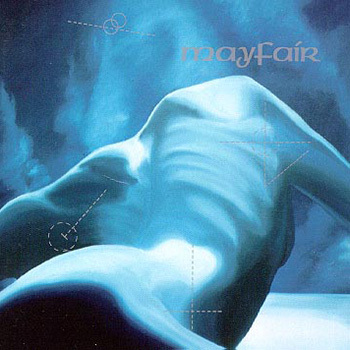 “Behind”, being “Die Flucht”’s pretty impressive predecessor, is where Austria’s Mayfair were already experimenting with a progressive sound that would incorporate technical thrash with more alternative elements. “Die Flucht” was an enormous leap forwards, diverging from tags and labels, it was definitely a staple, a signature for the underground European prog movement. This release is a uniquely melody-based album with key standpoint being the way Mario essentially utilizes his voice as an additional instrument. Truth be told, Mayfair are truly unique and this particular album doesn’t need any sheltering genre pigeonhole. It is a fine specimen of out-worldly prog perception that came well before its time. Unappreciated and undervalued, “Die Flucht” is a masterpiece. It was a time when power metal was dominating everything and a few schoolboys from Brazil had everyone talking about them due to their debut album that was about to change everything we knew about the metal scene. However, power metal was too confined and narrow-spaced to contain them, so they kept a few of its basic elements, added some Brazilian “spices” and created one metal’s greatest albums to date. Yes, “Holy Land” is progressive both musically, technically and intellectually. Yes, Andre Matos will always be regarded as one of metal’s greatest vocalists, and guitar-duo Loureiro/Bittencourt should also be remembered as the best-of-the-best. “Holy Land” is a jewel of similar beauty that is unlikely to be seen again. 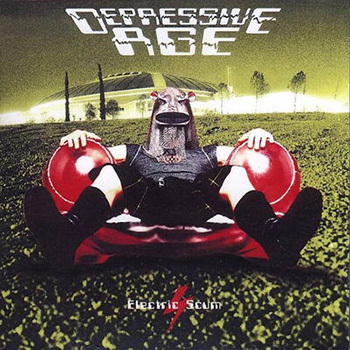 Having already released 3 albums, sometime in the mid-90’s, Depressive Age released “Electric Scum”, pushing their experimental tendencies to their limits. Not really being able to fit anywhere, the progressive flare evident in their compositions – which could, at times, even be interpreted as a poppy vibe – enables us to talk about one of the finer examples of 90’s production techniques, which will eventually prevail again. Incorporating somewhat obscure vocals and alternative aggressive/mellow guitar licks, “Electric Scum” has already been seen as Depressive Age’s legacy, which is still, nonetheless, one of the scene’s best kept secrets. Yet another surprisingly good album from one of those bands that you have surely heard of somewhere, but, as this often goes, the quality of their releases was inversely proportional to their success. “Canada” and “prog metal” are both terms that when put together generally produce something that is, at least, great, and Heaven’s Cry do not contradict this statement. The album presents the band’s unique ability to form complex musical structures, as well as having three guitars in the mix and a highly progressive aura encompassing all of the above. The vocals on “Food For Thought Substitute” are impressive, with interesting changes between band members, whereas the lyrics often regard environmental and social issues. 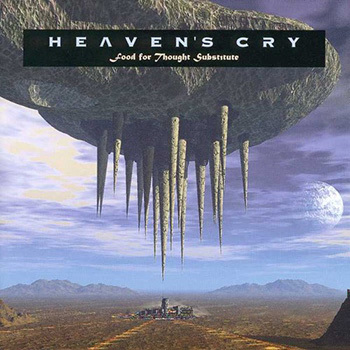 Heaven’s Cry’s debut is melodic, technically infallible, rather experimental and well-played. Yet another hidden gem of the 90’s prog metal scene. There was always a fine line between American power metal and progressive metal. This line is not only fine, but fuzzy too, as it is not uncommon for different people to categorize certain bands in either category. 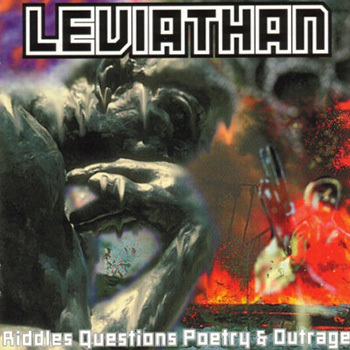 Leviathan were playing right on said line, but their technical abilities and a few other minor elements of their music definitely nudges them over to the prog side of the argument. Their 1993 debut did not raise much dust, but “Riddles, Questions, Poetry and Outrage” and “Scoring The Chapters”, released in 1996 and 1997 respectively, remain clear landmarks of quality 90’s American prog/power. Either albums could have made this list, but we chose the first mainly for subjective reasons, not objective ones. Fredy Doernberg is one of Germany’s metal scene’s biggest wanderers. As a keyboard player he has collaborated with almost every native metal musician he has found, but his heart was always with Rough Silk. 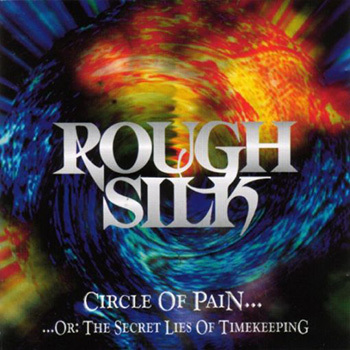 During the mid/late 90’s, a time when melodic model was at its peak, Rough Silk managed to get some public attention with releases such as “Mephisto” (1997), but more to the point, “Circle Of Pain” (1996). This album will always be conceived as one of the scenes best little secrets, as it is based on some really smart and beautiful ideas, all of which are nicely presented mainly by the use of keyboards. Rough Silk are still active today, but their most recent released were never up to par with “Circle Of Pain”. It is true that certain albums are to be expected in lists that require “the best” that helped pave the way for a specific genre to be acknowledged. 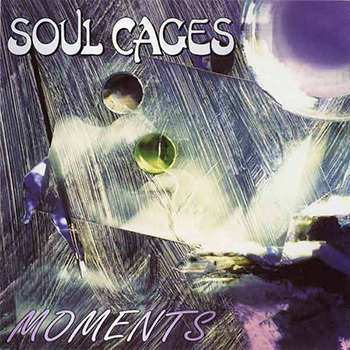 After a truly great debut album, Soul Cages release the inconceivable “Moments”, their best work and consequently, one of the best specimens of progressive metal that Europe has to offer. Amazing music with uniquely melodic elements is what characterizes “Moments”, which can easily be compared to works of Sieges Even or Queensryche, but always shone through a “tectonic” prism held by German prog teachings. “Moments”, as a whole, is infallible, inspired and resonates uniqueness. Any time someone starts to play “Spiritech”, he should be ready to deal with an extremely unique and somewhat diverse album to what he would normally expect from the genre. 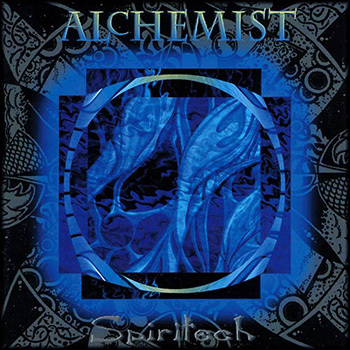 Alchemist, originating from Australia, present some of their best work while basing songs off “alien” riffs, eerie vocals and almost tribal-like drumming. All these sum up to create an album that can easily be filed under “Pink Floyd meets metal”. Incorporating a futuristic production, songs like “Chinese Whispers” will always be heard as fresh and innovative. “Parallel Minds” was followed by a truly wonderful album, “In Your Multitude”, but it wasn’t until “Flow” that they managed to become a favorite for many progsters, even after breaking up the band. “Flow”, or its own era’s “Rage For Order” one could say, had the misfortune to be released in a time when the particular scene was on life support. Yet another masterpiece, based upon the creative genius that is Ostby, whose influence is evident throughout the album. 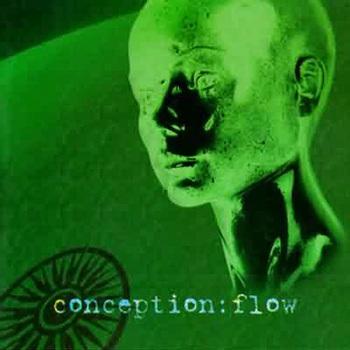 Genius that composed songs like “Cardinal Sin” or “Flow”, which definitely provide the necessary evidence that Conception truly was a great band. 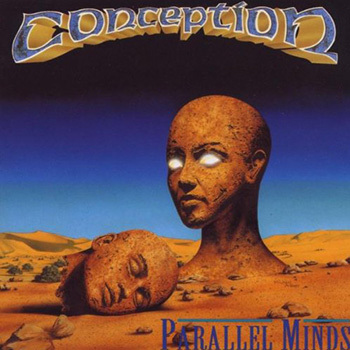 It can even be said that Conception is probably the scene’s most underappreciated band too. USA’s Eternity X are quite the underground number. Nonetheless, they are famous enough to be remembered by this particular release. Melodic, technical and clearly American prog/power, “The Edge” utilizes a lot of keyboards and is characterized by lengthy compositions (maybe too lengthy) and typical production of its time. 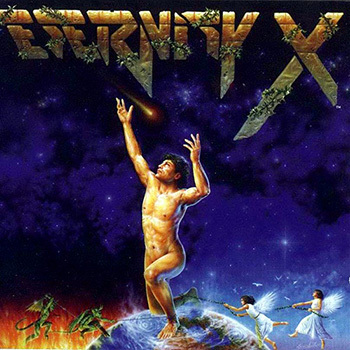 There are instances where it is rather obvious that Eternity X try to mimic the theatricality of “Operation Mindcrime” (see “The Confession”), whereas at other, they seem to flirt with more technically challenging (on the verge of being pretentious) compositions reminiscent of Savatage / Trans Siberian Orchestra. This is an album for more seasoned prog fans, that will be definitely reward with time. Lucky for us, Jim Matheos is the type of musician that finds it really hard to segregate his personal life from his art. After the poor commercial success of “Inside Out” and the departure of Aresti and DiBiase from the band, “APSOG” was destined to be his most personal album yet, and for some, including myself, his finest one too. One song, divided into 12 parts. It is essentially a musical depiction of the everyday life of a thinking and emotionally charged individual. As complex - yet as simple - as everyone’s normal day, “APSOG” is unique conceptually, technically, inspirationally and emotionally. 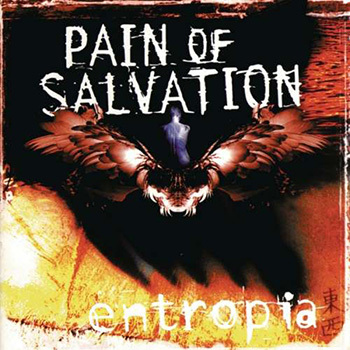 Only a few were able to witness Pain of Salvation’s beginning, and the majority of them were due to the promotional work of (newly born) Inside Out. However, when the band’s fame became a bit more widespread as the years went by, everyone was willing to bow down to Daniel Gildenlow’s talent, who still had a lot of metal in his veins and was not afraid to show it. Just watch the video for “!” and you’ll see what I mean. “Entropia” is a smart and astonishing progressive metal album, infused with a personality directly linked to Daniel’s melodies and vocals. Travelling through “People Passing By”’s funk, “Oblivion Ocean”’s melancholy and “Plains Of Dawn”’s lyricism, “Entropia” is a musical gem that surpasses progressive metal. Royal Hunt is one of the scene’s most steady and constant figures. 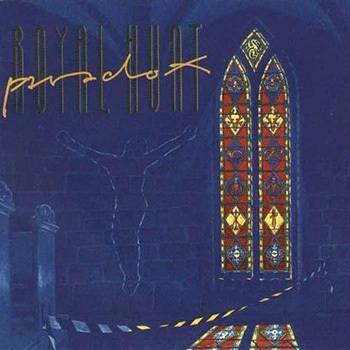 Being Andre Andersen’s (of Russian origin) spiritual child, Royal Hunt incorporate distinct neoclassical elements in their music that could easily be linked to European power metal, however the progressive flare is still heavily apparent. 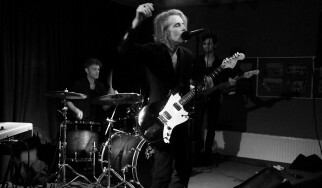 The band’s first big moment came when D.C. Cooper joined the band in 1995 for “Moving Target”, but it wasn’t until two years later when they reached their peak with “Paradox”. Said album is based on a religious concept involving all kinds of spiritual soul-searching, and had a great lead single in “Message To God”. Above it all, it was Cooper’s vocals that made the difference, as in, for examples, “Long Way Home”. 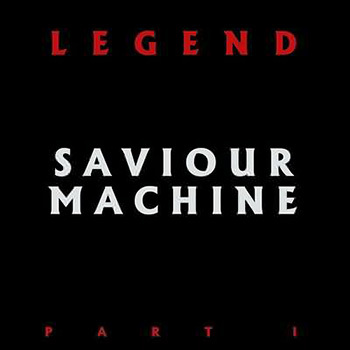 Once there was a certain buzz surrounding Saviour Machine after the release of their first two albums, Eric Clayton decided to attempt a rather ambitious project. In a three part release, he desired to musically portray his own version of the Apocalypse, and part one really did bring worlds down. “Legend I” is a sum of all its constituent parts which include: riveting vocals, chants, magical melodies, great lyrics and an overall chill that no horror movie could ever hope of creating. In this album, Clayton surpassed himself and probably creating the best religiously themed metal album ever. As it is easily imagined, the following parts of the trilogy didn’t even come close to the intensity of part one, giving us fertile ground to assume that such an album will never be written again. 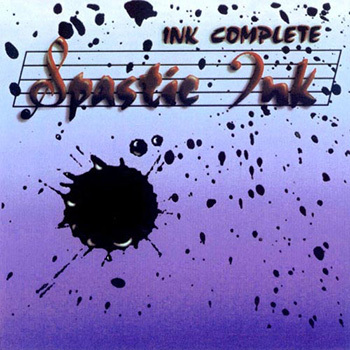 Harmonies, weird melodies, non-existent tempo constants and compositions that are situated somewhere in between improvisational jazz and prog-metal perfectionism, that is the best way to try and explain what “Ink Complete” is. This is Watchtower’s Ron Jarzombek’s side project where, with the help of his brother, Bobby, he brought back the intricate and complicated instrumental prog sound that diverged from the heavier compositions of his other projects, but equally intense and technically impeccable. This is an album that is meant to appeal to lovers of highly-technical instrumental metal with songs constantly introducing new elements. A tough sound to explore by any means. After the release of “Ink Complete” the two brothers released a second album, this time including a number of guests, but it couldn’t compare to the chemistry and sonic unite present in their debut, which is deemed with much regard. With Dream Theater already being at their peak, some old friends of theirs – who have already released a couple of albums - are about to release “The Diving Wings Of Tragedy”, an album that would propel them directly into the heart of every progster, and give hope for a new legendary band of the scene. Having guitarist, Michael Romeo’s, inspiring melodies on his side, vocalist Russell Allen finds the ground to rise up and shine. 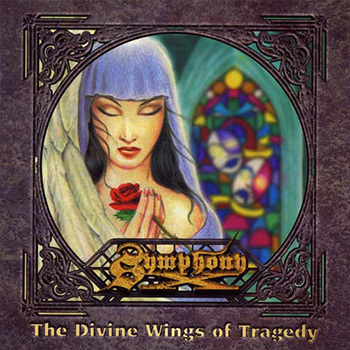 Now recognized as one of the most characteristic voices of the genre, his performance on “The Divine Wings Of Tragedy” highlights his talent, and along with the lyrical themes and instrumental parts of this album, it clearly set Symphony X in the forefront of the game. Yet another one of prog’s best hidden secrete are Norway’s Trivial Act. Even though they only have a single album to boast of, it was enough to be included in such an article. 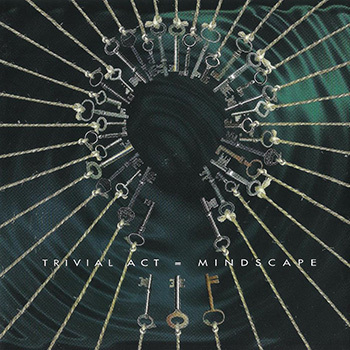 What enabled “Mindscape” to be considered worthy of joining the “shine in their uniqueness club” were the lengthy instrumental parts of their music, the chemistry and bond between the guitar duo and the basic Fates Warning influences coupled with intricate tempo changes. This album can definitely be seen as a classic, as its sound and quality are timeless. It successfully highlights the ways in which the progressive metal sound of this specific decade was different in Europe. “Mindscape”’s place is definitely amongst the best prog album’s ever, even though it is forgotten. It should undoubtedly be regarded as a classic within the tight confinement of Norwegian progsters. 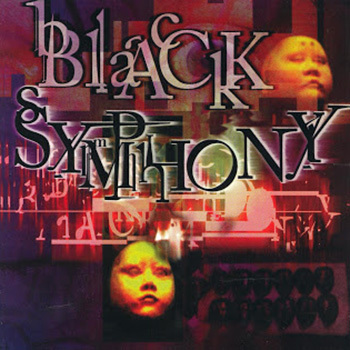 When Black Symphony, Rieck Plesrster’s spiritual child, made their first appearance in 1998, many devout followers of the scene believed in them wholeheartedly. 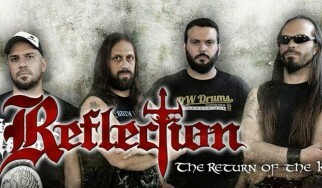 Their self-titled debut is characterized by elements of American power metal, an abundance of keyboard parts, metal aggressiveness and a special approach to song-writing, as it becomes immediately evident in tracks such as “Never”, Breather” or “The End Of Your Life”, as well as with the 11 minute epic journey of the self-titled track. One of the band’s biggest trump cards was their frontman’s, Mike Pierce, passionate vocals. 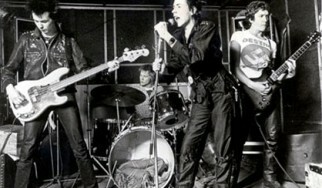 Unfortunately, after the debut he decided to leave the band, and with him went a substantial part of the band’s dynamics. Even so, the follow up to “Black Symphony” - despite being clearly less inspiring than their debut - was not bad at all. Italy seems to have a knack for progressive metal, even though it never produced a band that could stand in the forefront of the scene. 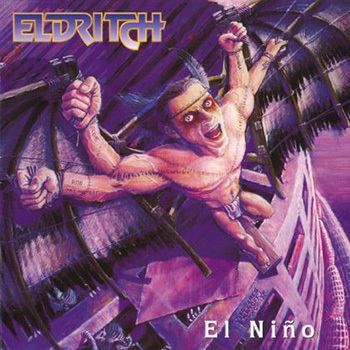 The country’s most constant representative, both quality and quantity wise, were Eldritch, that released a series of respectable albums, that travelled a number of genres. 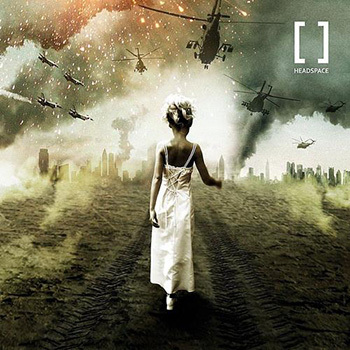 Ranging from “Headquake”’s raw aggressiveness to “Reverse”’s industrial feeling, the band did pretty well for themselves, however they reached their peak in a release between these two in 1998, “El Nino”. Eldritch managed to achieve a wonderful balance in their sound with this release and composed songs such as “Bleed Mask Bleed” and “The Last Days”, which are tracks that will always be the legacy of bands such as Eldritch. 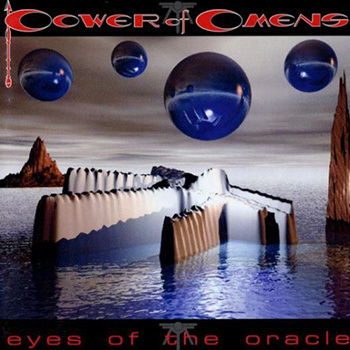 With this particular album Power Of Omens did not only succeed in releasing a great American progressive metal piece of work, but they also succeeding in creating a highly-technical and complicated series of compositions full of tempo changes and outlandish signatures, which fully highlights the musicianship of the band. “Eyes Of The Oracle” emits an impressive sound that is pushed to its limits and at times resembles Queensryche, Rush, Dream Theater and even Iron Maiden too. 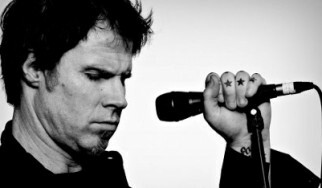 Additionally, Chris Salinas’ vocals are ideal for the particular kind of scene the band represents, who, at times, offers a few hat-tips to Tate. The album is based on a constant adventurous music evolution, and “Test Of Wills” on its own (all 20 minutes of it) would be enough to justify the greatness of “Eyes Of The Oracle”. 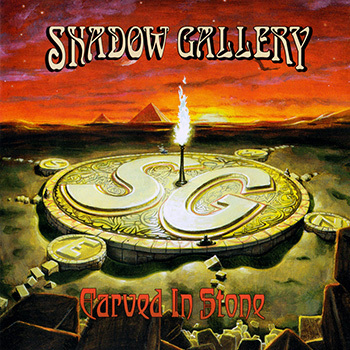 The year is 1998, and having already released “Carved In Stone”, progsters knew that they could expect a lot from Shadow Gallery. They however managed to surpass themselves with “Tyranny”. This is where we have progressive metal at its ultimate peak, whether it by composition-wise, singing-wise, or any other -wise for matter of fact. Great songs, lyricism, amazing build-ups and an even greater concept is what makes this album one of the greatest ever. Mike Baker is better than ever, songs like “Mystery” should be taught in Prog 101, and the guest spots from D.C. Cooper and James LaBrie in star-tracks “New World Order” and “I Believe” are just the cherry on top on an already amazing album. 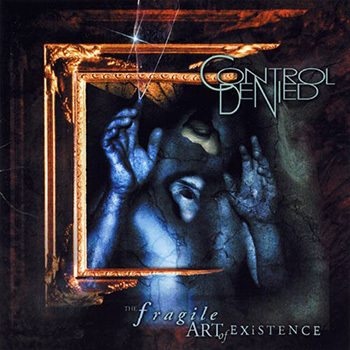 It would have been a crying shame not to mention Chuck Schuldiner at all in this article, however, fortunately, Control Denied’s only album is here to restore order. In “The Fragile Art Of Existence”, Chuck composed inspired, highly technical progressive metal, similar to “Sound Of Perserverance” from Death. In this album, Chuck was accompanied by the great rhythim section of Steve DiGiorgio and Richard Christy, whilst Tim Aymar’s great vocal performance (once Warrel Dane declined to participate) gives the effort the extra oomph it needed. Just before the release of this album, Chuck was diagnosed with a brain tumor, and whilst being treated in hospital, he was already talking about album number 2, which after his untimely demise, some people are still trying to make a profit out of. “The Fragile Art Of Existence”, apart from being a flawless progressive metal album, is also burdened with a lot of emotions. 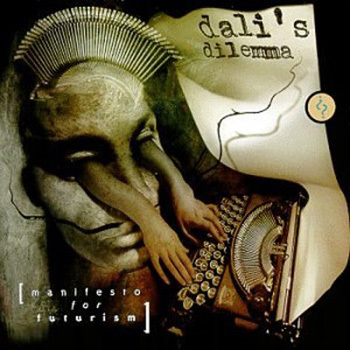 Dali’s Dilemma where another great addition to the wonderful world of 90’s prog metal. Today, they are probably better known as the band featuring keyboardist, Matt Guillory, that rose to fame due to his long-year musical relationship with James LaBrie. Magna Carta, who at the time was the basic record powerhouse for the scene, released their one and only album, “Manifesto For Futurism”. 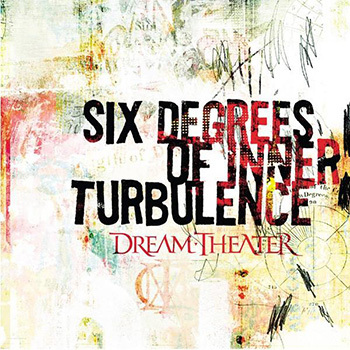 The album was overall well-received, however, there were criticisms claiming that it was too reminiscent of 89-94 era Dream Theater. Matthew Bradley’s great vocals resemble those of Enchant’s Ted Leonard, whereas the musicianship on “Manifesto For Futurism” is at top form, not leaving any room for doubt that this is an important release. If “Images And Words” and “Awake” were the main sparks that ignited the prog metal wildfire of the 90’s that spurred out countless of other bands that wanted to sound like Dream Theater, “Scenes From A Memory” fueled that fire even more for the 00’s. As many people failed to identify the -quite obvious - magic “Falling Into Infinity” had to offer, Dream Theater decided to look back to the roots of the genre that they essentially created and started working on a sequel to “Metropolis pt. 1”, which ultimately lead to a whole album. Jordan Rudess was welcomed as a messiah as - with their one and only concept album (so far) - they managed to do what was thought impossible: to look “Images And Words” in the eyes and creating the next generation of progressive metal. Sean Malone first introduced himself to the scene by playing bass on Cynic’s “Focus”. He had a special ability of thinking outside of the box which is thought to be directly linked to his status of a music professor. 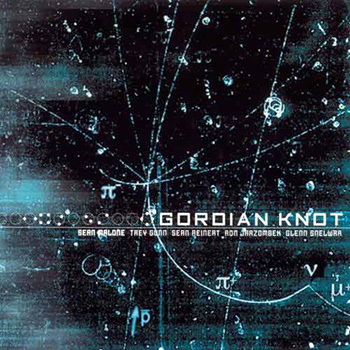 Gordian Knot is his own, personal, instrumental band which is infused with everything progressive, jazz/fusion sparks, various soundscapes and, of course, flawless musicianship. He was accompanied by Cynic’s (and more) drummer, Sean Reinert, who was just one of the many guests featured in this release, such as Ron Jarzombek (Watchtower, Spastic Ink), Trey Gunn (King Crimson) and John Myung Dream Theater fame. Just think that Myung’s presence alone, as Malone is –primarily – a bassist too, demonstrates the different mentality “Gordian Knot” has to offer. 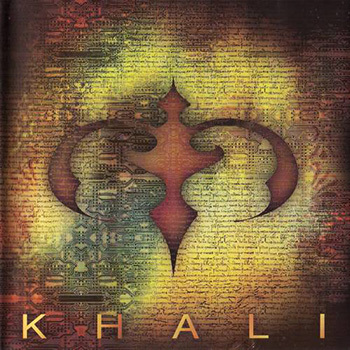 Italy’s Khali were a side project of Time Machine’s main man, Lorenzo Deho, and a few of his previous bandmates, as a way to express their love for Queensryche’s lyrical prog metal, especially of the “Empire” era. With “Act II: Gallileo”’s vocalist behind the microphone, they succeeded in creating exactly that - in their one and only album that they released - as they accurately replicated the sound and feeling of that time period, both good and bad parts of it. Nevertheless, Khali’s prog is definitely solid and surely one of this article’s less known releases. It is worth the time of anyone who is disappointed by Queensryche’s downward spiral throughout the years. 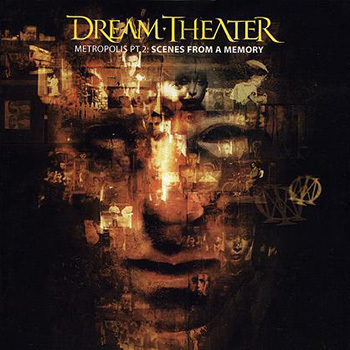 While Dream Theater were definitely on a creative high, as “Scenes From A Memory” was starting to take form, two of the band’s core elements, Portnoy and Petrucci, decided to work on one of their side project’s sophomore album. Jordan Rudess had already been formally inducted into Dream Theater, as the chemistry between them was already obvious from LTE’s debut. Tony Levin’s inspiring use of the chapman stick, and the band’s tendency to include improv jam’s into the final mix of the album is what gives a lot of substance to LTE’s second release. “LTE 2”, with tracks such as “Acid Rain” and “Another Dimension” has two main objectives. Primarily it quenches the creative thirst of its constitutive members and additionally it allows them to experiment freely, without the fear of tarnishing the Dream Theater brand. This is a great instrumental album that lets Petrucci (and others) shine. As guitarist’s, Santiago Dobles, personal project, Aghora, set out create an album that incorporated elements of jazz/fusion and progressive metal, with ideas that evolved in to a masterpiece of fine compositions. The beautiful female vocals blend in masterfully with the impressive musicianship displayed by the rest of the members. And what members they are. Sean Malone and Sean Reinert, of Cynic fame, on the bass and drums respectively, manage to bring a different vibe to the project and as the band’s “celebrities”, they live up to the part expected by them from virtuoso Dobles. The final outcome is extremely impressive. 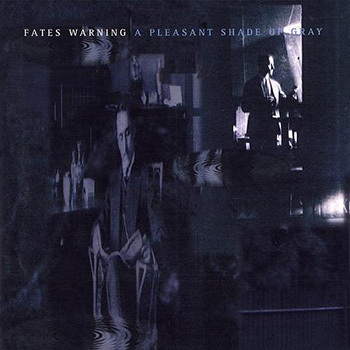 I do not know if it was “A Pleasant Shade Of Gray”’s widespread acceptance that gave Jim Matheos the urge to continue creating music with Fates Warning (even though they had become more of a personal vessel for him), but what I do know is that he was not afraid to change the rules of the game. Tool was now the new reference point, Joey Vera had permanent spot in the band, Mark Zonder kept doing what he was always doing (being great) and Ray Alder was at the top of his form, this all head to “Disconnected” being another great addition to the band’s discography. “One”’s rhythm, “So”’s passion, “Something From Nothing” and “Still Remain”s’ grandiose nature are all infused with the best attributes of Fates Warning. Even “Disconneted Part 2”’s repetitive melody can haunt you in ways you can’t imagine. Ultimately being one of the 00’s most renowned bands, Pain Of Salvation had already created a buzz around their name with their two first releases. 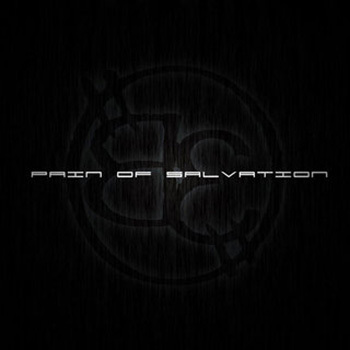 Being Daniel Gildenlow’s personal creative vessel, Pain Of Salvation’s “The Perfect Element” - probably their best piece of work - was a breath of fresh air in the creatively stale progressive metal scene of the 00’s that had been flooded by Dream Theater clones. Diversity, complexity, great compositions and intense vocal delivery are elements that give “The Perfect Element” the status of a “great album” from listen number one. Be it epic prog tracks such as “Idioglossia” or tracks such as “Used” or “Ashes”, this album is a point of reference for the ways prog traversed and evolved from decade to decade. 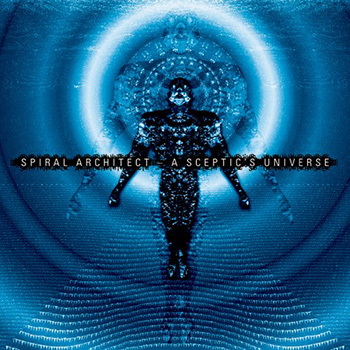 A demo and an album alone were enough for us to classigy Spiral Architect as one of the most impressive, innovative and original bands to come out of the scene in the last 20 years. Vocals were taken over by Øyvind Hægeland (Manitou), who places himself masterfully over the demanding creative urges of the rest of the members. Tracks on “ A Sceptic’s Universe” are some of the most adventurous, complicated and technically impressive moments in modern progressive metal, as through the sonic maze the band created, the listener finds himself opposite an archetypal release of progressive music. The rhythm section is inconceivable, with the bass at times covering up everything else, whilst Neil Kernon’s production manages to highlight wonderfully the technical abilities of the band’s constituent members. A truly unique album. 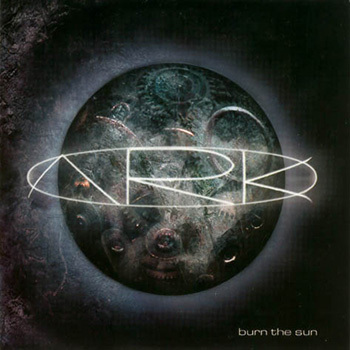 Ark where in Tore Ostby’s (Conception) and John Macaluso’s mind from the early 90’s, but it wasn’t until the end of that decade that they managed to release their first album. What ultimately made this possible was that they finally managed to get everything they needed from Jorn Lande (as he is often been thought to be hard to work with) and consequently releasing two albums. It doesn’t really matter how good their self-titled debut is (very), “Burn The Sun” is better. It displays a remarkable balance between melody and technical abilities and probably has the best Lande we have ever heard. “Just A Little”’s acoustic guitars, “Torn”’s chorus, “Heal The Waters”’ technical shenanigans and the sorrowful vocal delivery of “Missing You” are a only a few of the great moments this album has to offer. 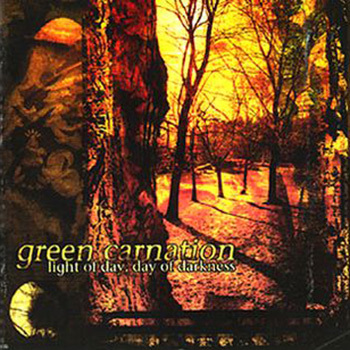 A single track surpassing the one hour mark is what constitutes this magnificent release that not only introduced us to the genius composer’s that are Green Carnation, but also managed to introduce the progressive flare to a very specific corner of the atmospheric scene. Even though the band’s doom heritage is evident throughout the duration of this track/album, hints of Pink Floydesque prog rock are spread out here and there, constituting it as an unrepeatable epic masterpiece. Kjetil’s vocals change based on the needs of the song, whereas strings, drums, female vocals, saxophone (!) and chorus vocals are all utilized to form this triumphant result. During the end of the 90’s and the beginning of the 00’s, all members of Dream Theater had adopted a few side projects (LTE, Platypus, Transatlantic, etc.). One of them was Mullmuzzler, a band created by James LaBrie and Matt Guillory (Dali’s Dilemma). Even though their first release was nothing really special, their sophomore album caught everyone by surprise. LaBrie seemed to have stepped back into his “Awake” days with more complex tracks such as “Afterlife”, “Venice Burning”, and “Confronting The Devil”, as well as venturing into less demanding songs - but equally beautiful - such as “Falling”, “Believe” and “Listening”. It is worth mentioning that additional members of the band were high-class wanderers Mike Keneally and Mike Mangini, whereas composer credits were attributed to Gary Wehrkamp and Carl Cadden-James of Shadow Gallery fame. 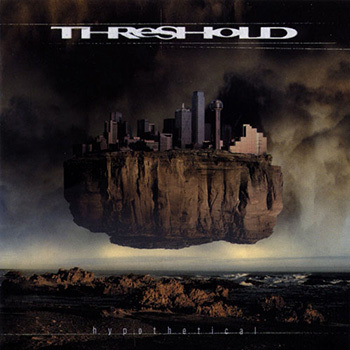 Threshold haven’t released a bad album. They haven’t even released a mediocre one. However, if we were to choose a single best one out of their discography, that would have to be “Hypothetical”. With Mac (may he rest in peace) behind the microphone and the songwriting duo of Groom and West at their finest, I am not sure that there is a better example of straightforward and approachable prog. With catchy tracks such as “Light And Space” and “Oceanbound”, with emotionally charged tracks such as “Sheltering Sky”, 10 minute epics such as “Ravages Of Time” and “Narcissus”, hints of AOR in “Keep My Head” and reaching a creative peak with “Long Way Home”, I can honestly not see how this album could be any better. Time Machine were regarded quite highly back in the 90’s. 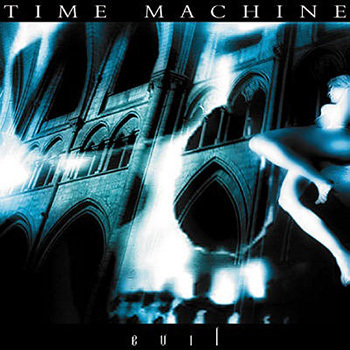 A combination of good promotional work from their record label and the helpful acquaintance of the band’s frontman, Lorenzo Deho, with Andre Matos lead to Time Machine’s melodic/symphonic progressive metal relatively widespread reach. Their sophomore album, “Act II: Galileo” is considered by many to be their most important release, however their best compositions were most definitely included in their 4th album, “Evil”, concept of which was based on the works of Valerio Evangelisti an Italian historian gone author. The albums wonderful packaging cannot go unnoticed, leaving “Evil” to be regarded as prime example of solid European progressive metal. Tipton brother’s Zero Hour have a noteworthy and remarkable steady path in the scene, and are admired by many, as portrayed by Rich Wilson’s book, “Mean Deviation”. 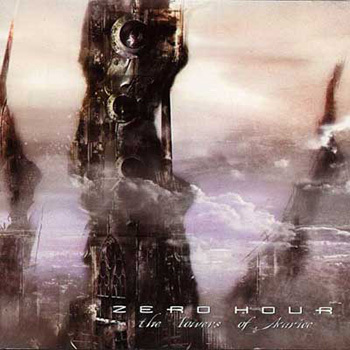 Basing their technical expertise mainly on tempo alterations – whilst also including shredding techniques here and there – Zero Hour have a released of series of good albums that are all relatively on par with each other, first of which was “The Towers Of Avariche”. The album’s general sci-fi concept is not something that would take the average progster by surprise, and it interacts with the music masterfully, reaching its peak on “Demise And Vestigae”, a 15 minute song, and coming to an end equally wonderfully with a simple piano track accompanied by Eric Rosvold’s vocals in “Ghost Of Dawn”. 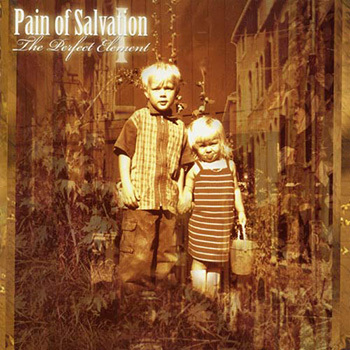 After the release of “The Perfect Element”, expectations were high for Pain Of Salvations next release. Daniel Gildenlow didn’t disappoint, and managed to create another specimen of his multitalented personality, another personal album, intense and emotional. If it hadn’t already happened with “The Perfect Element”, “Remedy Lane” set Pain Of Salvation firmly in the minds of both the fans and the press as one of the most talented and promising bands of the new generation. And even though Daniel avoided commenting on all this, it is undeniable that “Remedy Lane”’s quality and multifaceted nature takes it straight to one of the best albums of the 00’s (along with “The Pefect Element” of course). The album is full of great vocal performances by GIldenlow, whether that be the introverted nature of “This Heart Of Mine” or the complicated and demanding one of tracks such as “Fandango”. 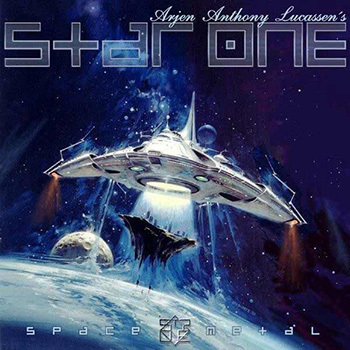 With Ayreon, Arjen Lucassen found it hard to separate rock from metal elements, so he created Star One in order to divert all his heavier tendencies there, whilst lyrically focusing on themes surrounding space, as presented by a number of his favorite books, movies and TV shows. He gave vocal responsibilities to four very talented individuals, them being Russell Allen (Symphony X), Damien Wilson (Threshold, Headspace), Dan Swano (Edge Of Sanity) and Floor Jansen (After Forever, Nightwish), and wrote songs about Alien, Star Trek, Star Wars, Dune, etc. The album’s limited edition featured a second CD that, amongst other things, featured two more original songs, covers (i.e. David Bowie’s “Space Oddity”), a Hawkwind medley (featuring Dave Brock), some of which were accompanied by Jens Johannson and Gary Wehrkamp. Star One also toured for a bit, outcome of which was a fairly impressive DVD. This is what France has to contribute to the progressive metal scene. Early on in the previous decade, Adagio were steadily contributing to the prog scene with albums heavily infused with neoclassical elements, mainly due to Stephan Forté’s (guitarist and main composer) great love for classical music. On their sophomore release (and last album with Pink Cream 69’s David Readman on vocals), they presented their most inspired and impressive work to date. “Underworld” is highlighted by its orchestration and piano themes, as portrayed in generally lengthy tracks. 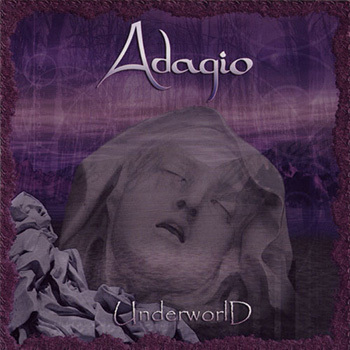 Adagio could be regarded as a more classical, less riff-based, but equally qualitatively rewarding version of Symphony X. 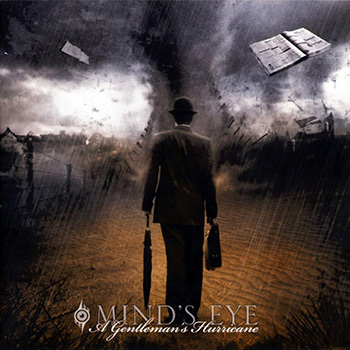 It is an album worth the time of only fans of traditional progressive metal. 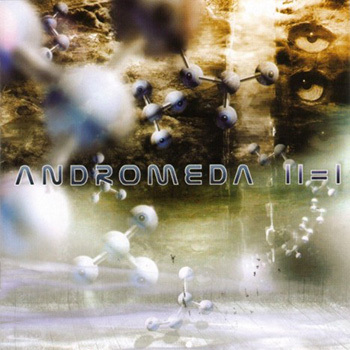 When Andromeda’s name first stated to generate friction in the prog circles during the early 00’s, their fame preceded the release of “Extension Of The Wish”, raising the bar really high. The Swedes lived up to these expectations with their highly technical metal, and a few years later, with the release of “II=I”, they found the ideal balance between composing songs and being too technical. In songs like “Mirages, “Reaching Deep Wthin” and “One In My Head” they clearly show how approachable they can become, whilst still finding room to do their thing in tracks like the 10 minute self-titled one or in the instrumental “Morphing Into Nothing”. Additionally, in songs such as “Castaway” they really let their more emotional side shine. Unfortunately, they only went downhill from this release onwards. 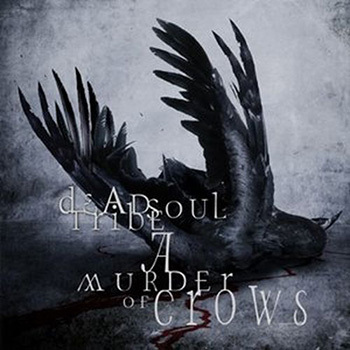 Buddy Lackey’s return (as Devon Graves) to the scene was already successful with Deadsoul Tribe’s first release, but it wasn’t until “A Murder Of Crows” that he found his distinct, personal sound. Everything hued in gray, the profound link between crows and human souls, lyrical themes revolving around today’s cold society and general Toolish riffs are what form the base of this album. 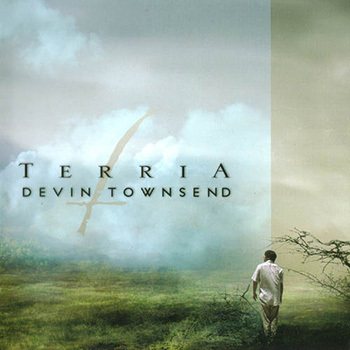 Devon displays a few of his most passionate performances, and even though he didn’t have the necessary support he required from his bandmates, he proved that he was definitely back in action, giving us his best personal work and one the previous decade’s best prog albums. 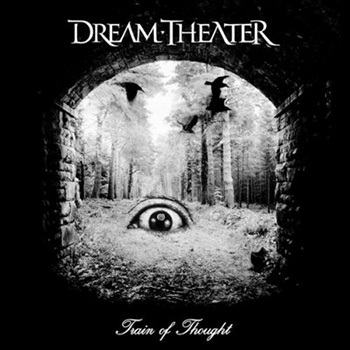 In “Train Of Thought”, it is the first time that Dream Theater attempt to focus on a single aspect of their music, that being metal. 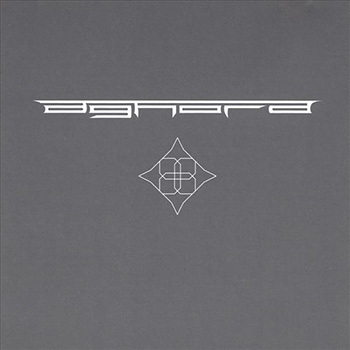 A lot people however thought that they released the ultimate progressive metal album, under the definition of heavy music played by highly technical musicians. There are a number interesting observations regarding “Train Of Thought”. The album includes a number of hat-tips to Metallica, with most apparent being the nod to “Blackened” on “This Dying Soul”, “Endless Sacrifice” (whose intro seems to hint to Michael Jackson’s “Give It To Me”) is still one of the highlights of any Dream Theater show, “Honor Thy Father” is Portnoy’s masterpiece, both musically and lyrically, whereas “As I Am” is as close to a hit track Dream Theater can ever get. Many believe that “Train Of Thought” was the last truly great Dream Theater album. Mike Portnoy, having realized that Jim Matheos was not the ideal person to work with on his new project with Neal Morse, still wished to collaborate somehow. 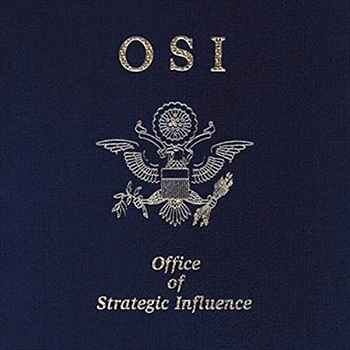 Though, if he knew how the end result would be, it is possible that he would have never started what turned out to be OSI. 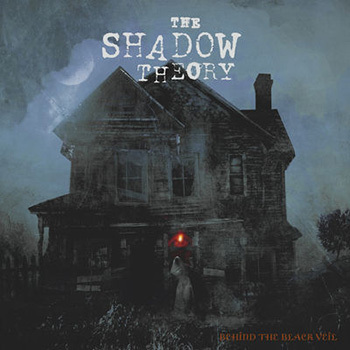 On the 17 minute-long demo, “The Thing That Never Was”, it is evident that Portnoy’s vision, with Daniel Gildenlow on lead vocals, was totally different than the one Matheos had in mind. He instead called on Kevin Moore, who took the aforementioned track, divided it into a number of sections, wrote a few more, took over vocals and ultimately became in charge of the whole project. This might not have been the ideal scenario for Portnoy, but at the end the album was definitely great. 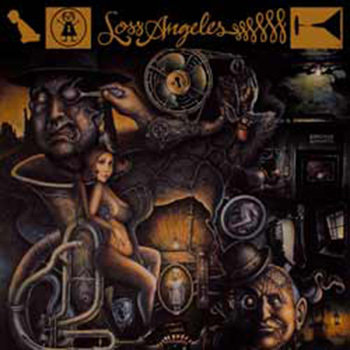 TOC changed their name from Throne Of Chaos in order to distance themselves from their extreme metal background, they hired a really decent singer (Tuomas Nieminen) and they released “Los Angeles” under InsideOut’s label, as a heavily melodic prog band. Their songs go from straightforward metal (“Acid Highway”), back to their good ol’ days (“Break-A-Neck”), and forwards toward more chilled out sounds (“Mary Lou Is Dead”, “Gothamburg”). Whichever the case, they always do it whilst incorporating interesting ideas and melodies. It is true that “Loss Angeles” could have been better received, so the band could have a brighter future, as the pithy nature of the prog metal TOC represent is rather rare. 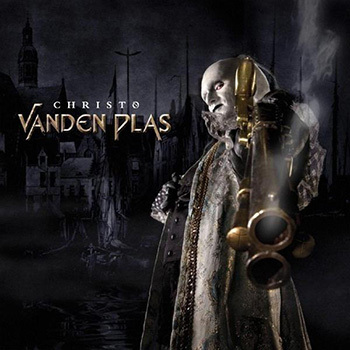 Vande Plas’ vocalist, Andy Kuntz, having been inspired by his participation in various musicals such as “Jesus Christ Superstar”, decided to write his own metal opera, supported by his own band members. 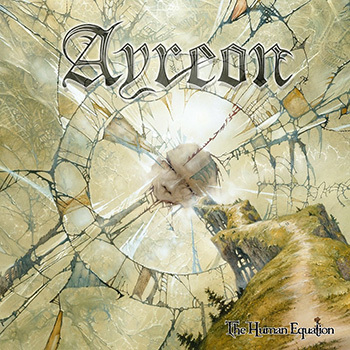 Comparisons to Ayreon are not misguided, mainly due to the operatic nature and concept of this album, but soundscape’s pluralism enables Kunts to demonstrate a wide array of his voice’s factions. It is worth mentioning that this project was also transformed into a theatrical play (available on DVD), where the beauty of tracks such as “You Broke The Sun” and “Far Away From Heaven” is much more evident. This is a complex and difficult album that is however better described by its inspiration and quality. 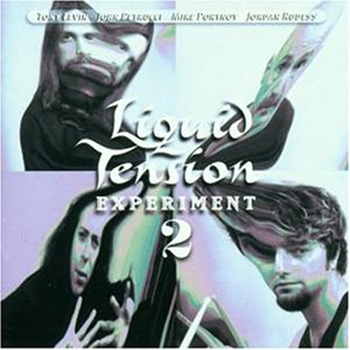 With this particular album, Arjen Lucassen managed to convert progsters to his vision of an operatic, highly experimental version of modern progressive metal. Yet another concept album, including even more guest spots, “The Human Equation” is a double album that includes songs that definitely prove Arjen’s ingenuity. James LaBrie is at his best and in the forefront of the project, Devon Graves, Mikael Akefeldt and Devin Townsend (amongst others) accompany the albums voyage masterfully, contributing wherever they can, and all of them together manage to produce the Dutchman’s finest release. Another prime example of German prog band that - despite only releasing two albums - managed to leave behind a legacy documenting the musical evolution of a non-traditional metal sound, alas to relatively small audience. It is true that with “Gloria”, their sophomore album, is when they managed to divert from typical metal norms, but with their debut, they managed to prove to everyone that Depressive Age influences can definitely be combined with Opethlike ones (and lengths), creating an original prog aesthetic. The self-titled track could say all this by its own, but it is the album as a whole (as accompanied by wonderful strings) that makes it stand out as such a unique album. 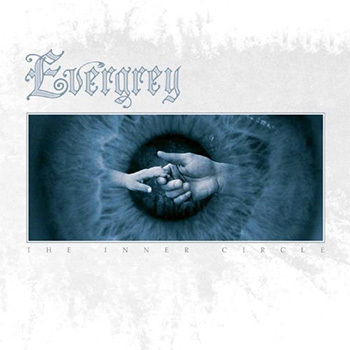 It is true that Sweden’s Evergrey might not fit everyone’s description of “prog”, due to the fact that many of the traditional aspects of the genre are scarcely found in their music. Nonetheless, they had the necessary technical expertise and songwriting abilities required to stand-out, as well as the unique vocal delivery of their frontman and main contributor, Tom Englund. “Inner Circle” sets itself apart from a series of really good albums as the first following a specific concept, as well as including some of the band’s best songs (“A Touch Of Blessing”, “More Than Ever”), the highlight of which being its impeccable finale, “When The Walls Go Down”, incorporating a phenomenal string quartet instrumentation. After a brief hiatus following the release of “El Norra Alila” and five years that were needed to record “Mabool”, a band reborn from its ashes were ready to scale new heights. It is true that Orphaned Land were always regarded as an “Oriental” band, title that is justified by their melodies and instruments. 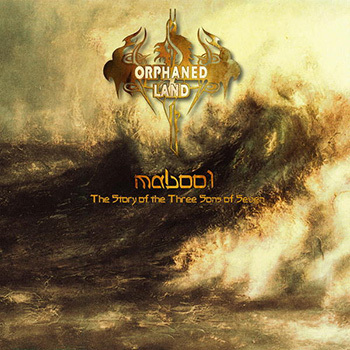 Even so, the progressive element was always apparent in their work, and in “Mabool”, it fused with death metal and Israeli traditional music and come out strong and glorious. An epic musical journey, whose instrumental sections take the listener to faraway lands, and highlights Orphaned Land’s talent to transition themselves from track to track. Either it be instrumental interludes or 10 minute songs, it never gets old or boring. “BE” is the undeniable proof of Daniel’s rare talent and the realization that this genre of music is the best platform for such talents to express themselves. The album’s bibliography alone – including inspiration references – could easily be utilized as a PhD thesis, as Daniel attempts to approach complicated subjects such as cosmology, evolution and Man’s relationship with God. Passing through numerous musical pathways infused with folk, jazz, heavy and soundtrack elements, “BE” is a continuous journey , it’s an adventure, it’s an achievement so grand that it is almost incomparable with anything else. Additionally, according to this author, “Iter Impius” is probably the best song of the previous decade. Riverside are, qualitatively, this decade’s most “constant” band representing the progressive genre. “Second Life Syndrome” was the album that put them under the spotlight and will always be a reference point for their fans. The intensity of the emotions it evokes is almost ridiculous, from Mariusz Duda’s first whispered words in “After”, until the repeated guitar lick that acts as an outro to “Before”. 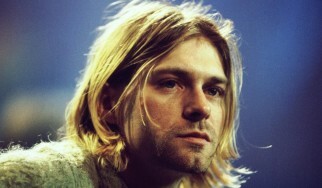 Duda goes all out, and if by any chance you can relate to what he is singing about, get ready to be sucked deep into this album, whether it be the three minutes of “Conceiving You”, the 15 of the album’s self-titled track, the hatred portrayed in “Artificial Smile”, the regrets infused within “I Turned You Down”. One of the finest musical specimens of the last ten years. It is not unnatural to think that any band that releases a single album and then simply vanishes into thin air would remain unnoticed and forgotten by history. Frantic Bleep’s “The Sense Apparatus” is a prime example of an exceptional release and one of End Record’s most prolific ventures. 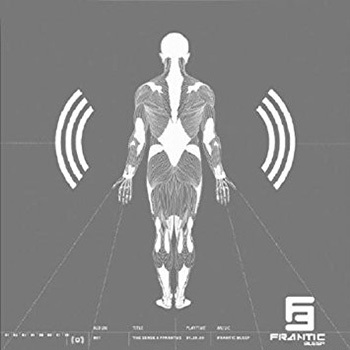 Even though it is rather difficult to categorize what Frantic Bleep are playing in this album, one could portray it as the Norwegian scene’s avant garde aesthetics meeting modern progressive metal whilst nodding towards Arcturus or Opeth’s technical abilities. With Madder Mortem’s Agnete Kirkevaag’s lead vocals accompanying the intricate melodies and jazz licks, the end result is truly astonishing. 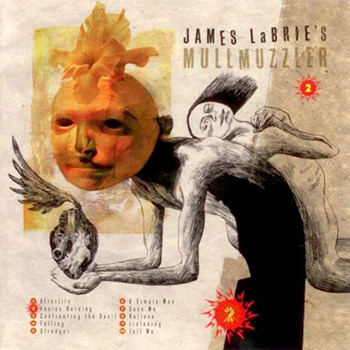 As Dream Theater were still on their upwards journey following the release of “Scenes From A Memory”, James LaBrie’s role in the creative process of the next DT album was rather limited, he decided to release yet another personal album (having already 2 releases with MullMuzzler). 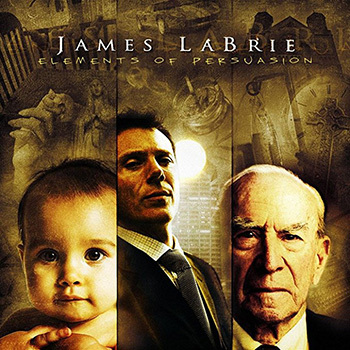 So, almost simultaneously with “Octavarium”, LaBrie releases “Elements Of Persuasion”, an album that seems to have been a produce of many years of work, as it portrays a fresh, free and full of live James LaBrie, which definitely contradicted his live performances with Dream Theater. The album managed to put a finger on the pulse of its time, with a number of modern compositions, tailored down to the likings of the average listener. The album consists of great solos, just the right amount of keyboards, and an enthusiastic James LaBrie that seems to relish singing without having someone constantly breathing down his neck. This is probably his best personal album and his best studio performance since “Train Of Thought”. Sometimes, prog is just simply beautiful. Beauty of the art, beauty and admiration of the talent. Simple emotions conveyed through complicated means. 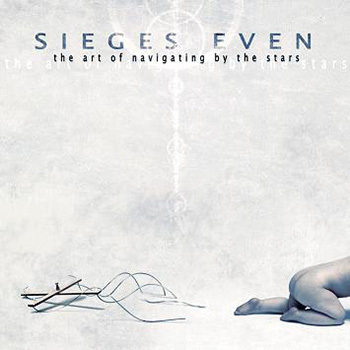 All those, and even more, become apparent in the album that brought Sieges Even to the forefront of the scene after many years. The Holzwarth brothers and Markus Steffen struck gold in Arno Mense’s magical voice, and the final output is breathtaking from start to finish. Indescribably inspired melodies and lyrics, but most of all incomparable aesthetics. Even if the album was solely constituted of “The Lonely Views of Condor”, I would still feel eternally obliged. We were lucky enough to see them live during that era, and some say that that was the perfect occasion to actually witness how many of us actually follow the genre. This is Tomer Pink’s personal band, an avid Pink Floyd fan. 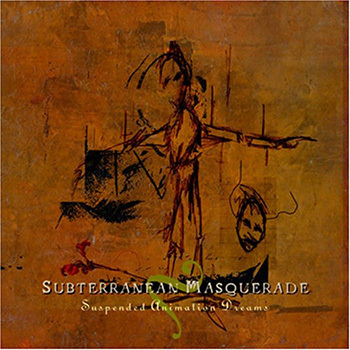 Subterranean Masquerade, in part two of their trilogy, create a grand soundscape full of emotion and avid experimentations. 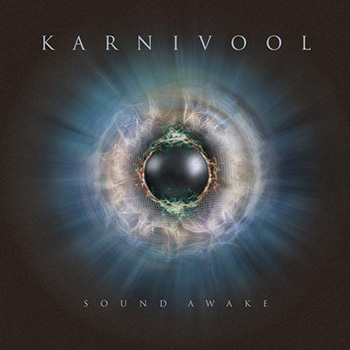 “Suspended Animation Dreams”, being rife with guest appearances, manages to pass a “primitive” psychedelic sound through a filter of pure progressive metal. Aggressive or calm when needed, strings, wind instruments, keyboards are evident throughout. Additionally, by incorporating a generally atmospheric overtone, “Suspended Animation Dreams” manages to bring folk, psychedelic, metal and jazz together, with the end result - in the form of something like “Six Strings To Cover Fear” - being rather impressive. Even though they were never regarded as one of the greats, no one that has paid the necessary attention to their three first releases can deny the fact that they are, at least, noteworthy. Their first album had the trump card Jon Lande that is definitely impressive, the second had Kelly Carpenter, however, relatively unknown Bjorn Johnson does a fantastic job on the band’s third release. “For The Love Of Art And Making” is their most ambitious and demanding piece of work, as it is comprised of 43 regular and 3 hidden tracks of a short duration, summing up to what is essentially a single, 38 minute, track. Numerous tempo changes and a plethora of grandiose and highly technical sections made an album that ultimately divided a lot of listeners, as it was conceived as pretentious. Prog can be that way sometimes. Two years after "Metridium Fields"'s original self-funded release, Giant Squid decide to re-record the album in order for it to have a 'proper' release through The End Records. In their stunning debut, the San Francisco band excels through the merging of various sounds such as post-metal, sludge, progressive rock and doom metal. Compositions of intense emotion and authentic character emerge from oceanic depths, as seemingly mismatched instruments (banjo, trumpet, Hammond, ocarina, theremin, etc.) are unified through a distinctive pluralism, and above all , Aaron John Gregory's vocal versatility is there to recount, to hypnotize and haunt... "Metridium Fields" is nothing less than a work of art, and as such, it should be considered a necessity for anyone who considers himself as an open-minded listener. 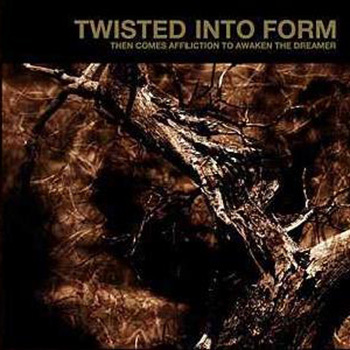 Twisted Into Form are a modern Norwegian band with jazz/fusion roots that adopted Spiral Architect’s former guitarist who contributes to the already highly-technical ensemble with experience he accumulated from working on the masterpiece that is “A Sceptic’s Universe”. The band adopts “fusion” more as an idea rather than a term for free improvisation, as the whole album can be seen to be very intricately linked and seems to follow a few subtle, yet explicit, rules. The band’s technical ability is definitely what this album showcases most, but all in all, it is very innovative piece of work that has new things to offer with every listen. It is of no surprise that similarities to Spiral Architect are numerous and very apparent, but despite that, Twister Into Form’s music is balanced, modern and displays a sense of experimentation that is always welcome in this particular genre. With sideward glances to Watchtower, Cynic and Spastic Ink, Twisted Into Form will impress you with their musicality and songwriting obscurities. I have a really faint memory back in the mid-90’s when people tried to give Germany’s Vanden Plas the nickname “Europe’s Dream Theater”. I understand the need for trying to create a hype around a new name in the scene, however that sometimes can backfire badly for the band. Even though they were a decent band, the bar was raised too high from the start, thus they were always conceived as underachievers. Maybe it was also due to the fact that no-one expected anything more from them, or maybe because it was their first concept album, but the attention to detail demonstrated by the band definitely played a role in the general acceptance of “Christ 0” as the crown jewel of their discography. 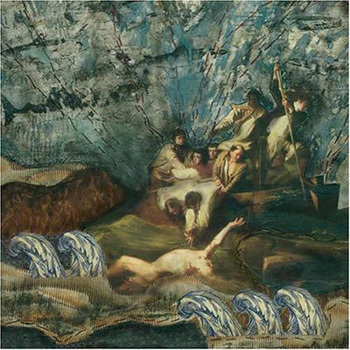 Based on the character of Edmond Dantes, main hero of Alexander Doumas’ “Count of Monte Cristo”, as well as including a 40-piece choir, this is the band’s most impressive release. 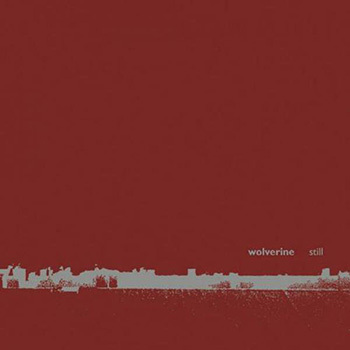 Atmospheric, sincere and progressive in its own terms is what best could be said about Wolverine’s “Still”, a truly intense album that demonstrated the band’s experimental tendencies. 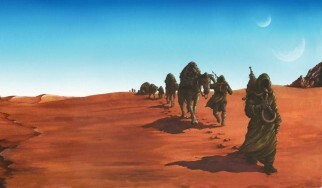 Songs like “Taste Of Sand” or “Sleepy Town”, for example, are distinctly based on more atmospheric influences, as supported by their wonderful melody, and both evolve gradually into the albums two most prolific moments. Traditional prog metal elements are definitely still evident in “Still”, however these Swedes approach that term in a rather peculiar way, as identified by preferring a simpler songwriting approach and having the vocal’s merge perfectly with the eroticism created by the keyboards and the guitars. What happens when two thrashers join forces with the cellist of a neoclassical / dark ambient band? In Grayceon’s case, magic. The collaboration of Walken and Amber Asylum’s members was anti-dogmatic by default, however, the combination of cello, guitar and drums sounded tantalizing - even on paper. 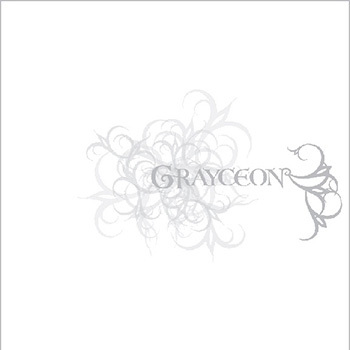 With their self-titled debut, Grayceon destroy any suspicion of them being predictable, and they also deliver original music, which is almost infuriatingly unclassifiable, yet purely great. From the ethereal soundscapes of "Sounds Like Thunder" to the aggressiveness of "Song For You" and from the nebulous "Into The Deep" to the impressive twenty-minute-long "Ride", "Grayceon"’s compositions are the definition of what we call perfect musicianship, where every instrument has an equally leading role and not a single note is regarded as obsolete. “Adam Evangelista is a world class hired gun who, at the age of 53, is ready to retire as he is full of remorse and questions, as long as he successfully carries out this one last job”. You will find a lot of similarities with other, better known, progressive concept albums, which might even suggest that this particular one is rather cliché, keeping in mind that Mind’s Eye never was the band that would give you the impression they could pull it off. Nevertheless, with their last album, they managed to set the bar very high and produced an album that sits reasonably higher than your average prog album. A few minor imperfections weren’t enough to tarnish the album’s worth, release that is even more highly regarded due to its comic-inspired packaging and stand-out track, “Feed My Revolver”. 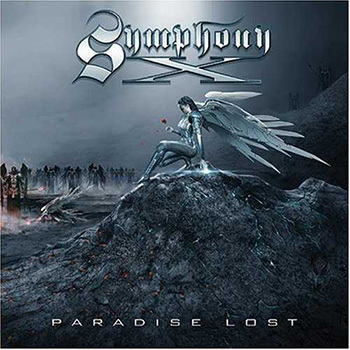 Before the release of “Paradise Lost”, Symphony X were already a well-recognized powerhouse in the prog scene. However, once it was released, they were immediately classified as one of its leaders, status that they still maintain today. Based, lyrically, on the John Milton’s classic poem by the same, it definitely constitutes of some of the finest tracks the band has ever recorded, characterised by impeccable technical ability (of course), ideal production and perfect vocal delivery. It is true that tracks like “Set The World On Fire” and “Serpent’s Kiss” are fan favourites, but it is the title-track that really stands out, as it is one of the band’s best ability showcase, as well as being one of Russell Allen’s finest moments. There is a specific branch of the progressive genre that is not grandiose and imposing such as Dream Theater’s music, or accessible as old Queensryche records. It isn’t even emotionally draining like Fates Warning records. It’s mainly metal, but still impressive. Weird time signatures, shredding guitars, peculiar melodies and deeply emotional vocal deliveries that come out of nowhere are some of its key attributes. This is the prog sound of Thought Chamber, which came in a time when such a sound was really rare. Michael Harris, admired by anyone in love with American metal as he is a member of Arch Rival, managed to highlight Ted Leonard’s (vocals) metal side, which is - at times - simply riveting. At a first glance, “Angular Perception” is full of clichés. At a second, it’s pure prog majesty. Nick Van Dyk is, apparently, a very lucky man due to the fact that he add the means to sustain his love for traditional progressive metal, via Redemption. However, based on everything that he has endured the past few years, it would be misplaced to say that, and his determination and will-power are awe-inspiring. None of this would have mattered though if he hadn’t released such a series of great albums, having Fates Warning’s, Ray Alder, by his side since 2005. 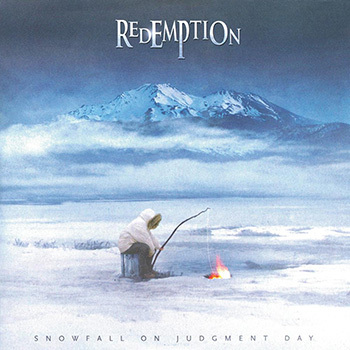 “Snowfall On Judgement Day” is the most pithiest out of 3 equally good albums (counting “Fullness Of Time” and “The Origins Of Ruin”), highlighted - for historic reasons - by “Another Day Dies”, a track featuring two great prog figures, Alder and LaBrie. 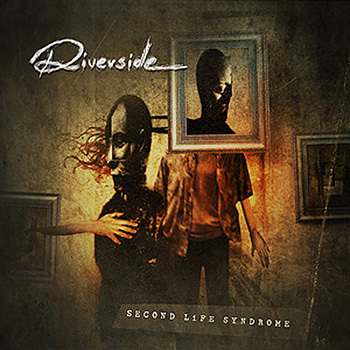 Even if all they had to show for themselves was “Second Life Syndrome”, Riverside could still easily be classified as one of the most important prog bands to come out in the 00’s. 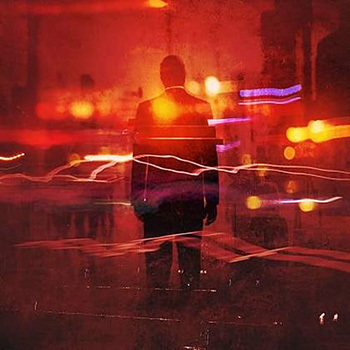 Since then, their progressive transitions from release to release has put their fans in frenzy, and with “Anno Domini High Definition”, Riverside took another step forward, releasing an album that literally lacks nothing. 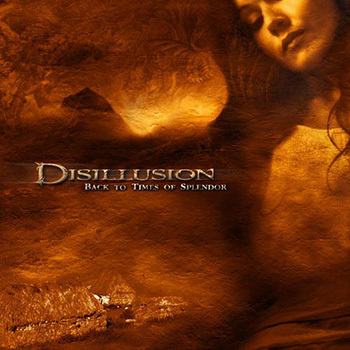 Duda’s vocal performance is impeccable, fill-ins from the keyboards are fantastic, and when regarding songs like “Hybrid Times”, the band reaches its creative and musical peak, as it intertwines their Dream Theater roots with more traditional rock elements, creating what can only be distinguished as Riverside. This Polish band is now a definite powerhouse in the scene, and that is something they know very well, as they continue to release great album after great album. This is album needs to be in everyone’s collection. These Swedes had already shown the world their credentials in the form of their two first albums, however it was not until “The Great Escape” that progsters were about to witness what the modern scene has to offer. With a vocalist that could easily be classified as one of the greats of his generation, with a creative team that effortlessly produces memorable –yet quite complex – melodies, Seventh Wonder just keep on getting better and better. All 30 minutes of the self-titled track for example are infused with constant tempo and melody changes, one better than the other. The album even has a “hit”, “Alley Cat”, which demonstrates how easily they can still compose complicated songs whilst having a poppy/catchy flare to it that makes it accessible to everyone. These guys aren’t promising anymore, they are main characters and they deserve it. During the time that Devon Graves had decided that Deadsoul Tibe had run their course, he had a discussion with a Greek musician who was very fond of his music, and together they exchanged certain ideas. At that moment, Devon discovered a bottomless pit of inspiration and decided to use this new found enthusiasm to create a new band with the finest musicians he had in mind. Out of Demi’s ideas, equally unknown Arne Schuppner’s riffs and a horror concept straight out of what could have been a King Diamond textbook, came one of the best progressive metal albums of the last few years, as portrayed by the unrepeatable “A Symphony Of Shadows”. Record sales weren’t enough for their label, Psychoti Walt’s reunion overshadowed everything about this release, and its demise probably came much sooner than it ought to have. This particular collaboration sought out to bring back (first era) Fates Warning’s timeless inspiration to the forefront of the scene, and did exactly that. Jon Arch’s untouched-by-time vocals came to compliment Jim Matheos incomparable composing abilities and in the process producing an album of unique quality and beauty, showcasing how experimental tendencies can meet up with the prog metal mentality. Aresti’s contribution is indescribable, as his guitar-work is just wonderful, and as a whole, this release can be seen as an instant classic. 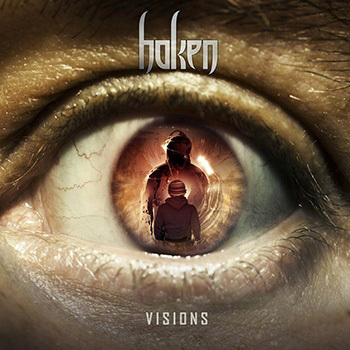 Haken are the type of band that can introduce prog to the newer generation of music lovers. Following everything they learned from Dream Theater’s classic releases, their sophomore album shows them evolving their sound and songwriting skill substantially, essentially turning them into key players in the modern scene. Thirteen minute-long “Nocturnal Conspiracy” clearly portrays their potential, whilst the aggressiveness of “Shapeshifter”, and the calming melodies of “Deathless” are also interesting points in their discography. Their self-titled 22 minute-long track might be a bit too much, but everything points to the fact that “Visions” is a stepping stone to something greater. 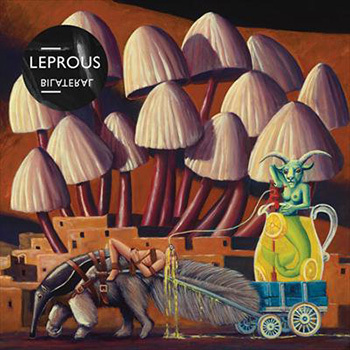 The only thing “wrong” with Leprous is their name, as it is not uncommon for someone to confuse them for an extreme metal band. In reality though, they are so deep in the prog pool that their main compose, Einar Soldberg, hates it when they call them that. Making ends meet by beeing Ihshan’s (Emperor) backing band, they showed from day one (i.e. their debut), “Tall Poppy Syndrome”, that they could breathe some fresh air into the scene. However, it wasn’t until “Bilateral” that their real potential became apparent. This album is full of intense mood swings from catchy “Cryptogenic Desires”, to the extreme “Waste Of Air”, moving on to the 10 minute-long highly technical “Forced Entry”, to the “emotional” “Mb. Indifferentia”. These Norwegians know how its done and they seem unstoppable. 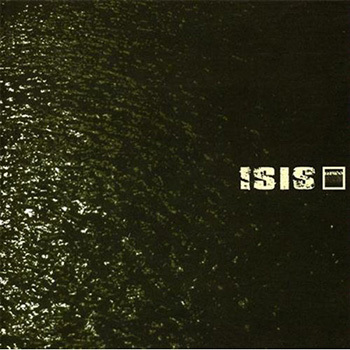 Unfortunately, Sieges Even’s two albums with Arno Menses on vocals were their last (till now). On the other hand, Markus Steffen and Arno Menses were not ready to give up and stop collaborating, so they created their new musical project, Subsignal. “Beautiful And Monstrous” demonstrated that, even though they had lost a vital part of their rhythm section, they still had what it needed to create great melodies. “Touchstones” takes that a bit further and is now a complete work of art, which continues the legacy of these great musicians, whilst continuously incorporating new elements, either being in the form of catchy “hits” such as “Wingless”, or 10 minute epics as is the self-titled track. The dynamic duo of Steffen/Menses has a lot more to give. 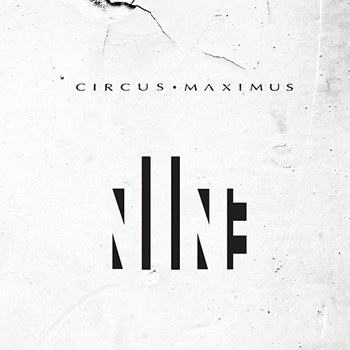 Norway’s Circus Maximus had to constantly deal with prog-elitists accusing them of essentially providing nothing to the scene as all their works were essentially re-hashed Dream Theater songs. The amount of truth in that sentence is exactly the same as the amount of exaggeration, and the fact that this band actually produced decent music was lost in the controversy. Nevertheless, in their third record, they decided to diverge from their safe zone, and change their focal point to vocal melodies and simpler song structures. They succeeded wonderfully, as demonstrated by tracks such as “Reach Withing”, “Game Of Life” and “I Am”, but they also continued to dive into more challenging compositions such as the 10 minute-long “Architect Of Fortune” and “Last Goodbye”, definitely highlighted by Michael Eriksen’s vocals that keep on getting better and better. One of this article’s more recent releases, “I Am Anonymous” definitely stands out in a plethora of bands that keep on repeating the same material again and again and again. Though, when you have learnt to play the piano and you are Rick Wakeman’s son, than I guess you are predisposed to play prog at some point in your life. If that wasn’t enough, Damian Wilson (Threshold) also is a main contributor to this album, who displays some of his long-spanning career’s finest moments, you know that the end result will be simply breathtaking. “I Am Anonymous” is here to stay in the forefront, as it sounds fresh and the amalgamation of various influences and sounds works great. In stand-out track, “The Big Day” for example, the way the acoustic guitar melody binds with Wilson’s vocals and builds-up to this distorted monster as the song progresses is extremely impressive, and ends up concluding this fine specimen of modern British prog. This album was a great leap forward, not only for the band, but for a whole scene, who witnessed these Norwegians taking the initiative and playing something new and ultimately presenting the metal scene with a fresh approach to music, incorporating a sort of artistic theatricality that has Arcturus’ trademark ever since. Dark but different to the melodic black metal of “Aspera…”, Sverd’s keyboards are rather impressive while Garm gives the appropriate vocal performance necessary to convey the aforementioned theatricality. 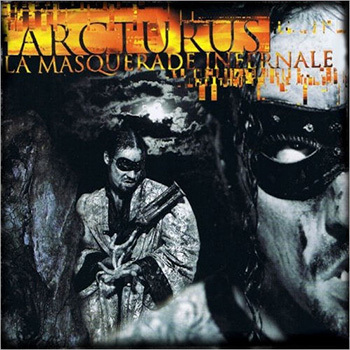 This album is based on clean vocals with an operatic tendency, highly infused with an avant garde aesthetic that inspired a plethora of new bands that stepped on Arcturus’ shoulders. How could an article revolving around any branch of progressive musif fail to mention Meshuggah? Fresh and innovative with each of their releases, they are one of the few groups that have affected everything involving the heavier spectrum of music. 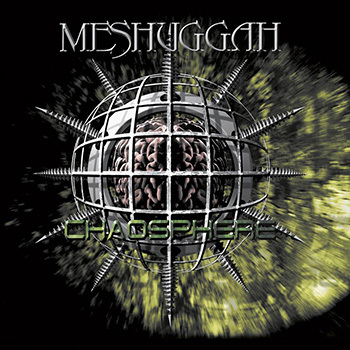 Each riff they produce is technically impeccable and precise, and with “Chaosphere”, these Swedes took things to a whole new level, with Tomas Haake on the drums and the Thordendal/Hagstorm duo on the guitars, they set the base for what would be later known as the “djent” movement, but does not reach the same level of innovativeness that Meshuggah does. Additionally, the video clip for “New Millennium Cyanide Christ” should have one all the Oscars (all of them) for the band’s performance. This particular album, the first in a series of Ulver’s new perspective in music, came in an era where experimentation was a thing not solely observed in the progressive metal scene. The whole album is based on William Blake’s - legendary masterpiece - and its content is preserved meticulously as it is musically dressed up masterfully in this double release. 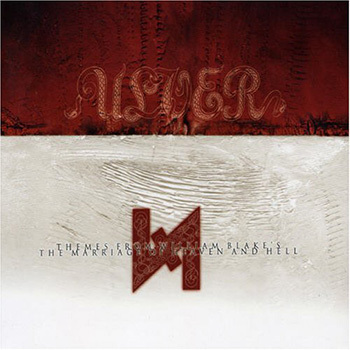 Wonderful experimentations, Garm’s vivid and theatrical voice while reciting, whilst the ambient, industrial and almost D’n’B rhythms that interchange throughout the duration of the album, slowly unveil the huge progressive tapestry this album (probably Ulver’s finest one) is based on. It might be true that “Times Of Grace” is not Neurosis’ best release, it might even be true that the band itself would question why one of their albums are in the same article with tons of other prog metal bands. Nevertheless, the fact that this band has been so influential and each of their releases were highlighted by a sense of looking forward and progression, definitely puts them in the general ballpark of this article. “In Times Of Grace” their main focal point is definitely the sludge/post scene, characterised by numerous alternations within the song structure, whether that be tempo or vocals. This album definitely had a gloomier, more atmospheric and introverted aura than any of the band’s previous releases. The aforementioned alterations were highlighted by heavier sounds moving to more ambient ones, also standing out due to its ideal production, extreme and royal at the same time. 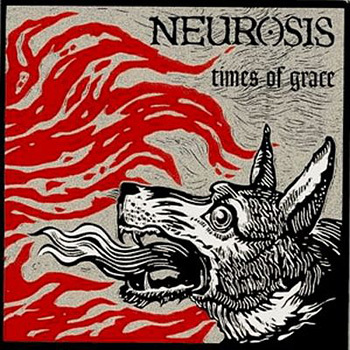 This is the album that set the “Neurosis” sound as the next big thing. 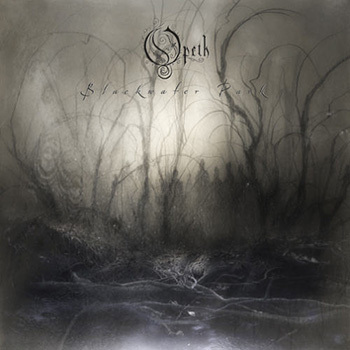 Even though Opeth had already released 4 albums, a release such as “Blackwater Park” was necessary for them to be regarded as key players in the extreme metal scene. Mikael Akerfeldt, already being a fan of “obscure” prog rock, always had elements in his music that hinted to his love of the genre. In “Blackwater Park” is when his first interactions with Steven Wilson took place, and Akerfeld’s progressive tendencies started to flow out more freely, as demonstrated by the fact that clean vocals were much more abundant in this release, as were beautiful melodies. Acoustic guitars, heavier outbursts, atmospheric parts and haunting keyboard sections are what make “Blackwater Park”. It is one of the genre’s most transitional albums, as it influenced the sound in many ways. Quite possibly the best album of the 00’s, a release that redefined progressive rock/metal and demonstrated to the world how much King Crimson has influenced this particular type of music. 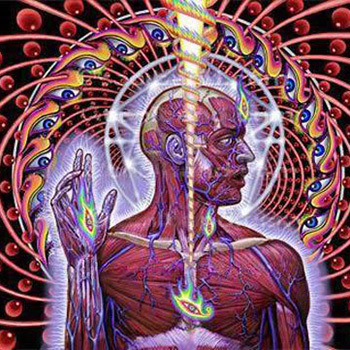 “Lateralus” is innovative in all of its aspects. It is heavier than its predecessor, “Aenima”, and incorporates much more atmospheric/psychedelic transitions. “The Grudge”, “Schism”, “Ticks And Leeches” and “Lateralus” are only a few of their tracks that clearly highlight their ingenious songwriting abilities. At the beginning of a new millennium, this album set the based and defined what progressive music will sound like from now on. Its prog rock and metal at the same, takes that seem to confine this magnificently ahead of its time release. Majestic and comparable to nothing. There was a time when the so-called “post rock/metal” genre almost monopolized the attention of every heavy music listener (and not only), resulting in the constant production of records that fitted under this genre. Isis was argely responsible for this, as “Oceanic” and “Panopticon” stood out right away with their diversity and complexity of compositional structures. “Panopticon” was the ideal link with the new age of progressive sound, whose “post” tendencies and Neurosis influences came to blend in with more traditional metal structures. The trippy guitars, the mathematically precise outbursts and the atmospheric keyboard moments of “Panopticon” set new grounds for modern progressive sound and cinematic music. A masterpiece, claiming a place in the progressive spectrum for the uniqueness and the quantity of its soundscapes. 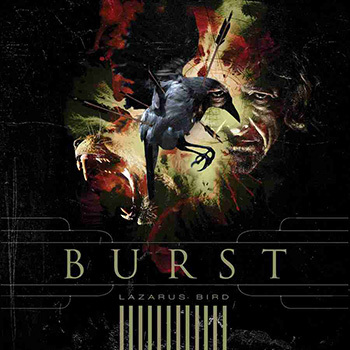 Although we wouldn't call it progressive metal with the strict meaning of the word, “Lazarus Bird” is one of the most poignant, progressive albums of the 00's with great ease. Does it really matter that it didn't get promoted as well as it should have, does it matter that Burst disbanded after touring to support the album? With songs like “We Watched The Silver Rain”, they managed to demonstrate their King Crimson influences in a large spectrum of compositional perfection and left behind a timeless masterpiece, overlooked by the press, record labels and fans. Disregarding these, “Lazarus Bird” is the ultimate representation of modern progressive metal. Tool’s music did not only have a great effect on music listeners, but it probably had an even greater one on music players, old and new. There were those who wanted to sound exactly like Tool, there were those who wanted to add Tool-like elements to their own music, and then there were those who tried to take Tool’s sounded and evolve it. This last category only lists a few names, but out of them all, Australia’s Karnivool are the most successful in doing so. Their sophomore album, “Sound Awake” is a rare sonic piece of art. It should be a great reference point for many bands in terms of songwriting and productions. It incorporates addictive rhythms, a wide array of sounds and a very emotive vocalist. Djent’s new generation of musicians owe their rhythm to Meshuggah and their melodies to Karnivool. It was quite evident that this is where everything was leading to. 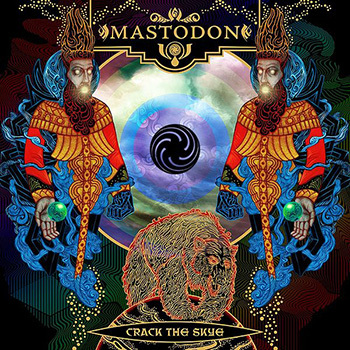 Mastodon had hidden their proggy side here and there in “Leviathan” and “Blood Mountain”, but they finally unleashed it in “Crack The Skye”, their best piece of work said by many. 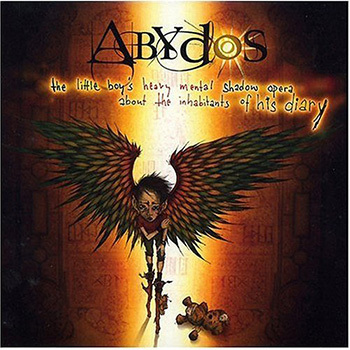 They let their melodies take a life of their own and also wrote one of the best choruses ever for “Oblivion”, whilst including two undoubtedly prog metal 10 minute epic songs in the form of “The Czar” and “The Last Baron”, which include aspects of their influences that no one would have ever expected or foreseen from their previous releases. The band never denied that “Crack The Skye” was their gateway to a proggier sound, and even though the album cannot be regarded as a purely prog metal release, such an open-minded would have difficulties fitting in any other mold.